"Pelagic" is a juvenile that was sighted by the Cascadia Research Collective during their offshore marine mammal research transects in 2011. 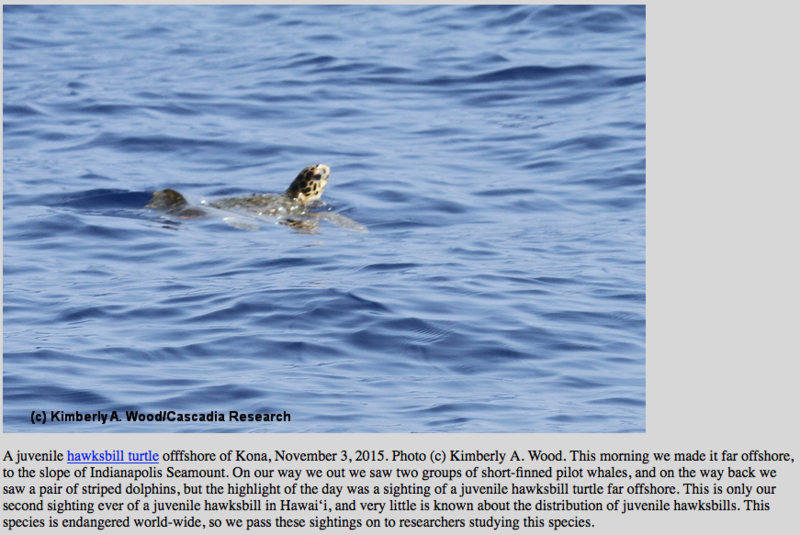 "Cascadia" is a juvenile that was sighted by the Cascadia Research Collective during their offshore marine mammal research transects in 2015. 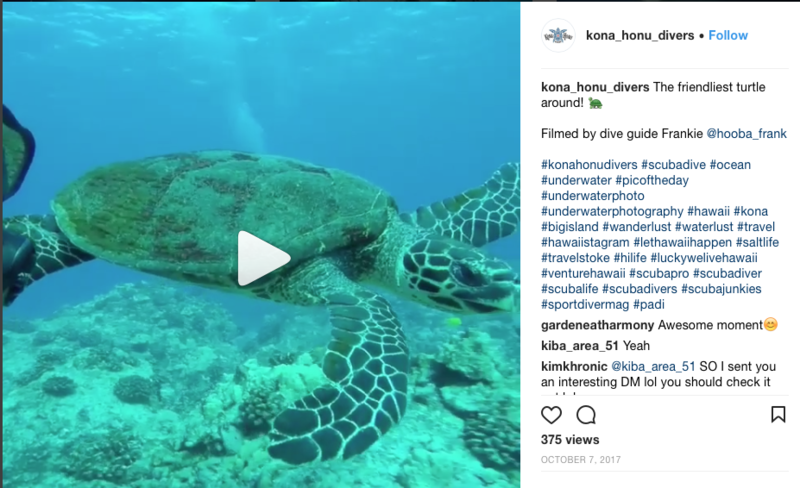 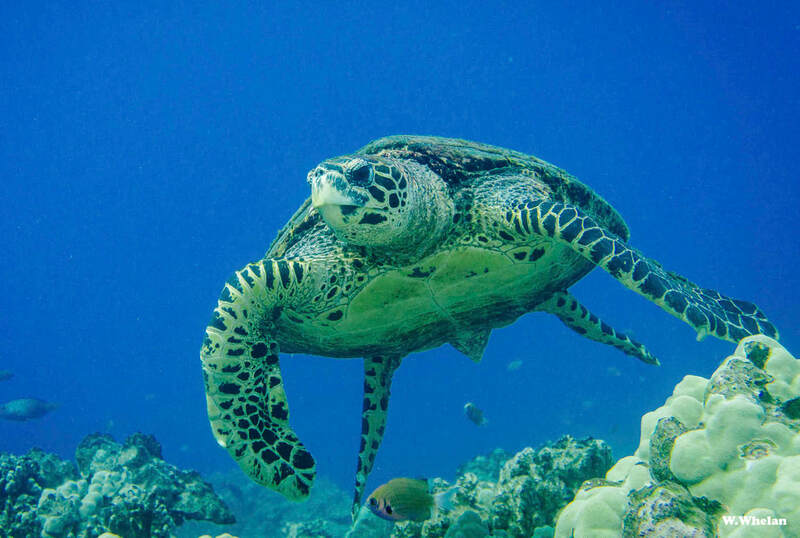 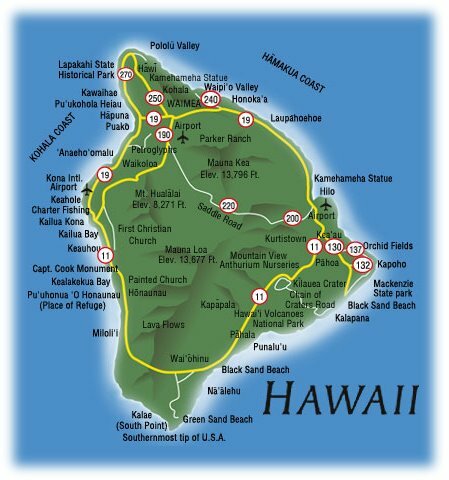 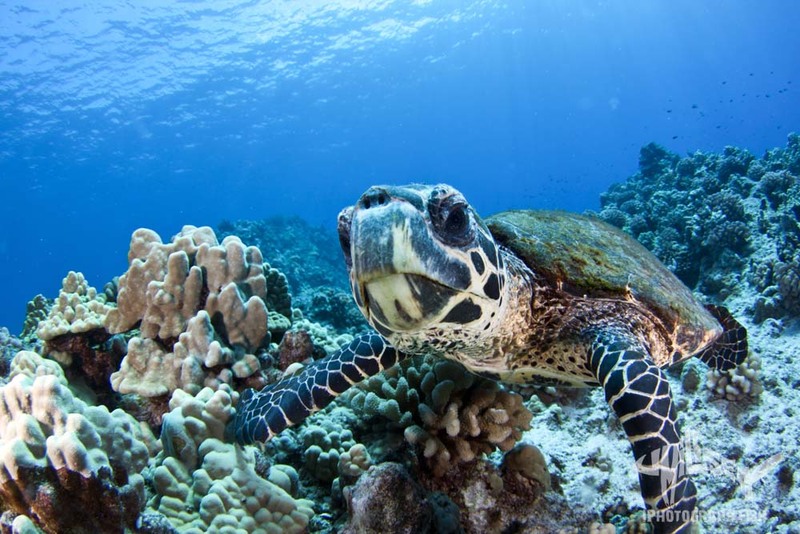 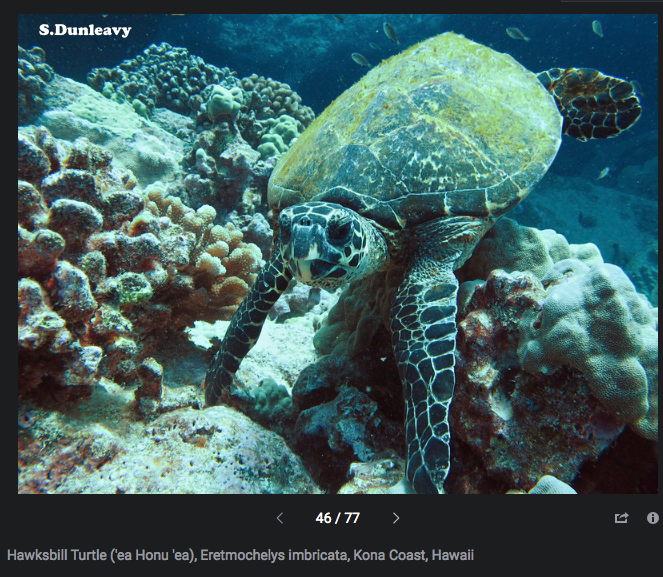 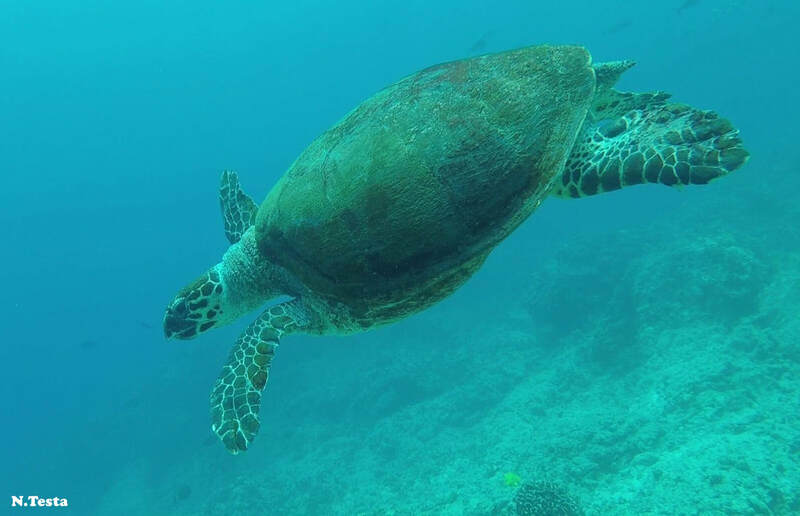 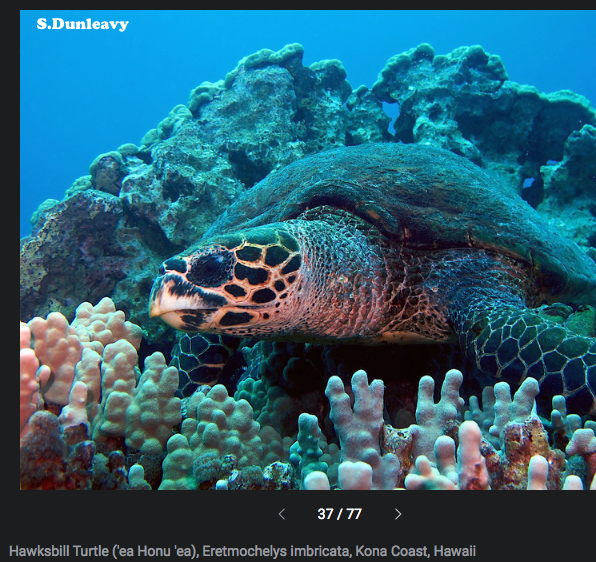 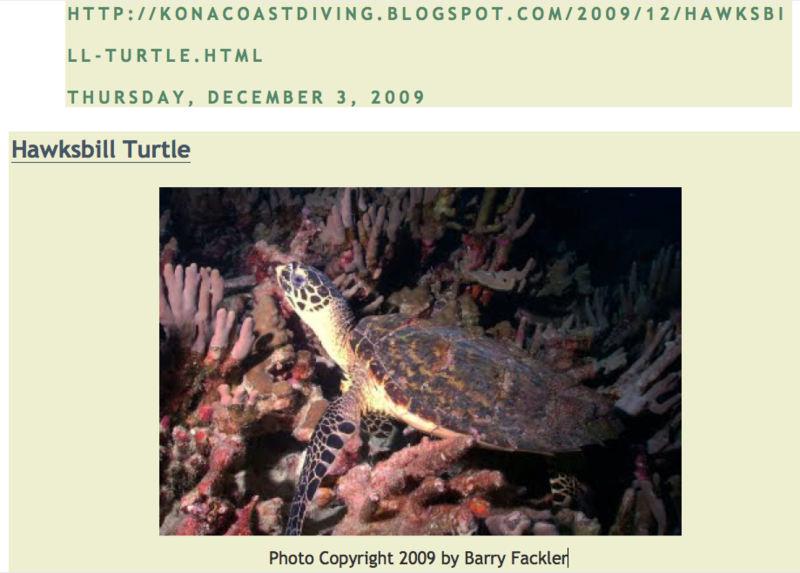 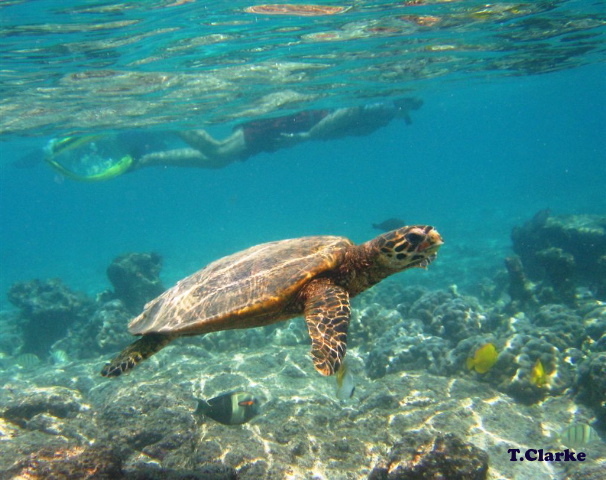 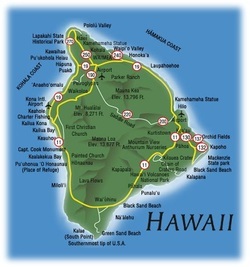 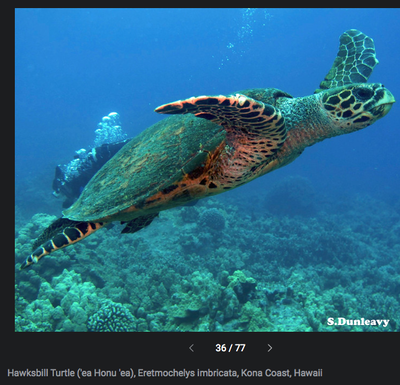 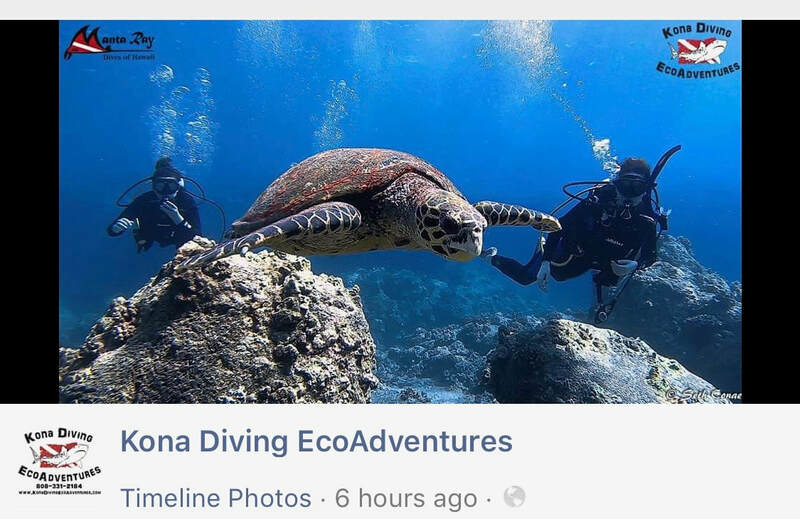 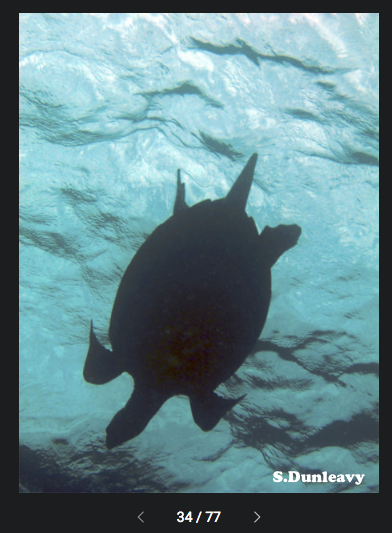 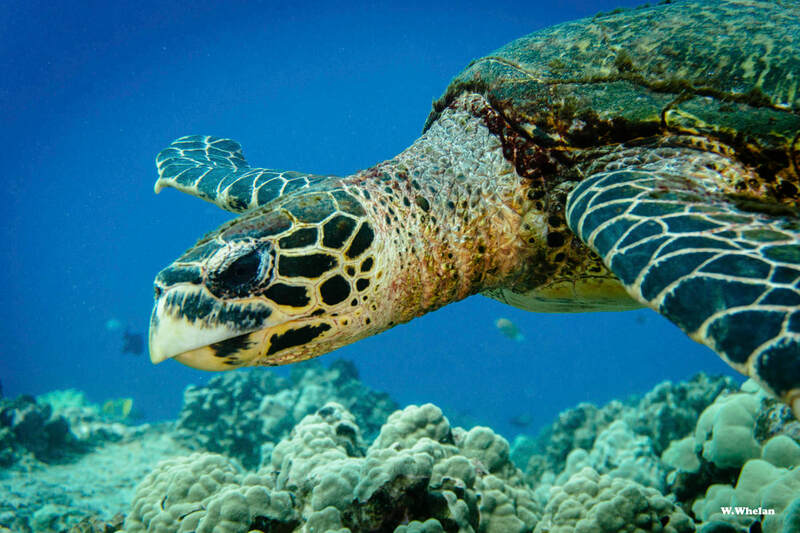 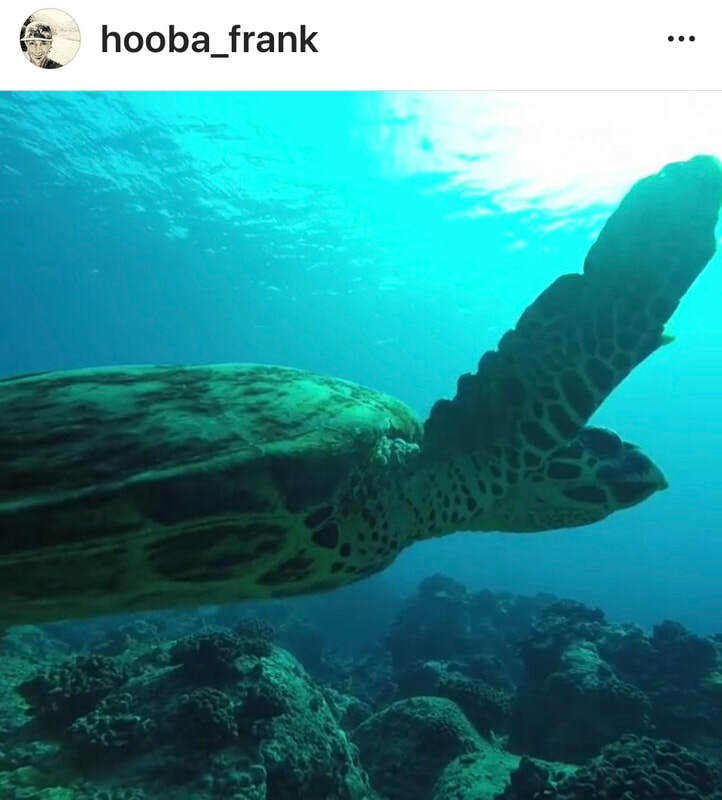 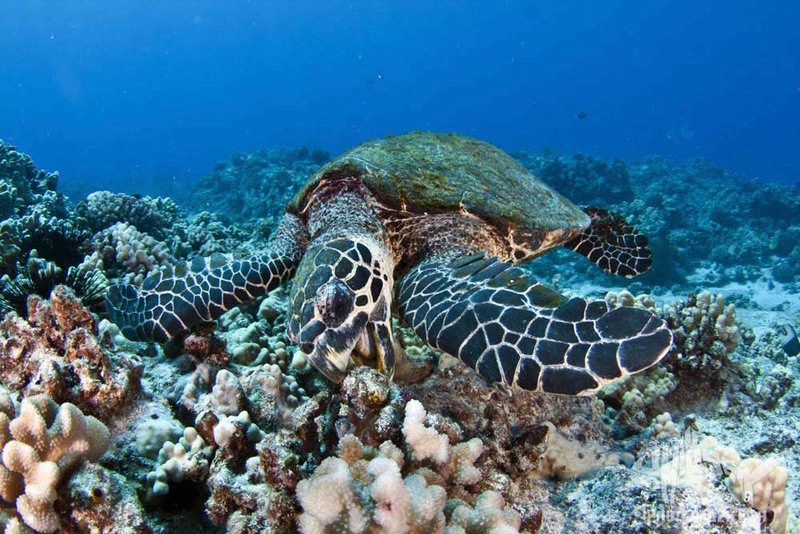 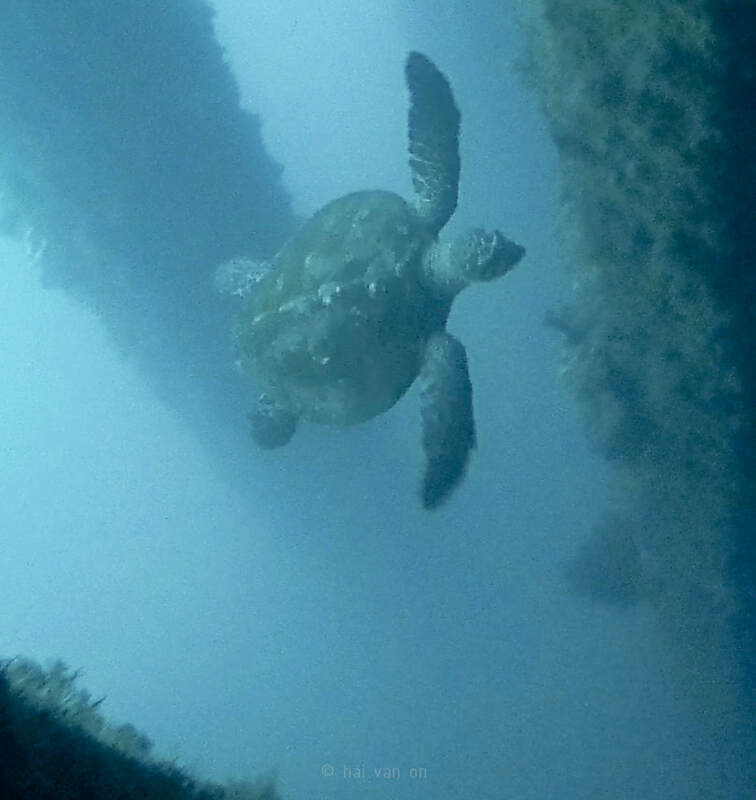 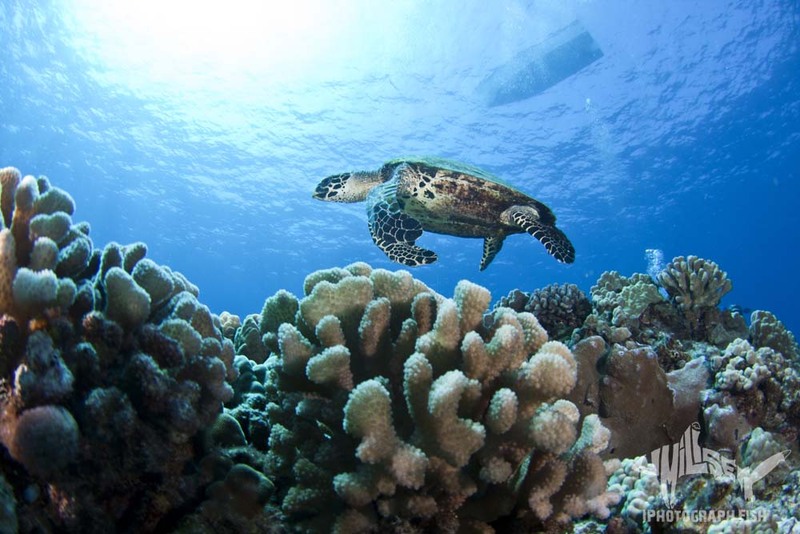 "Kona" was posted by Kona Diving EcoAdventures in 2019. "Heloise" is a juvenile hawksbill that was photographed by Doug Sells from 2003-2005. 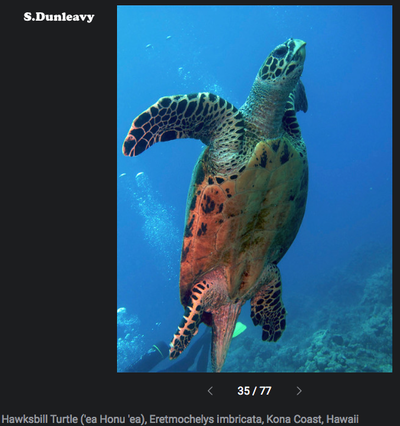 "Scaley" is a juvenile hawksbill that has been photographed in 2003, 2011, and 2013-2015 by Tom Clarke, Sandy Sheets, Mark Oronzio, John O'Leary, Marc Rice, and Shawn Caley. 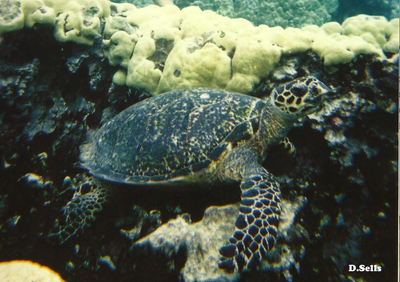 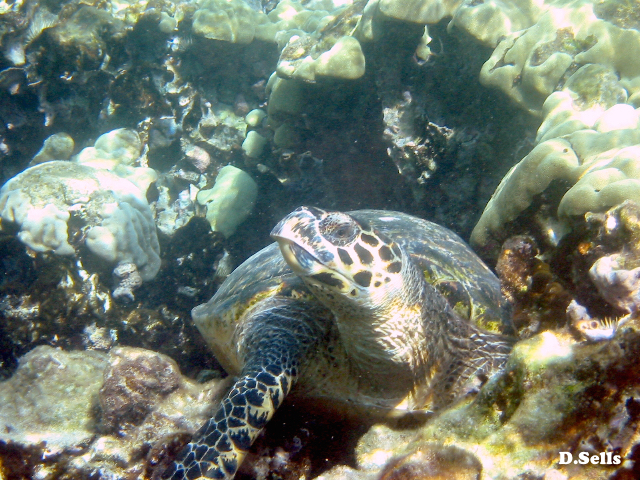 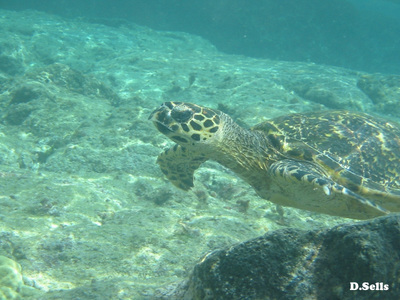 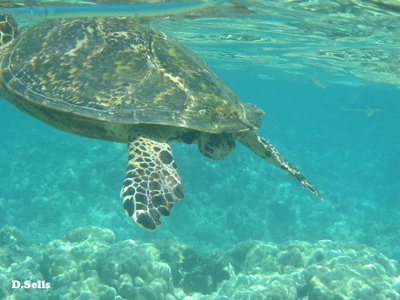 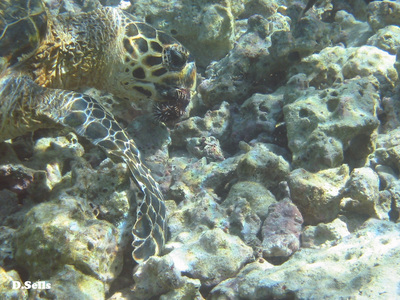 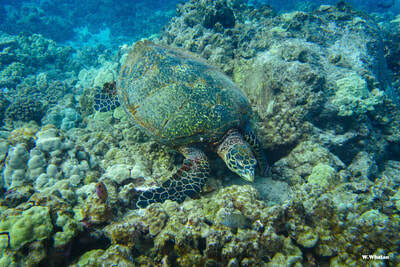 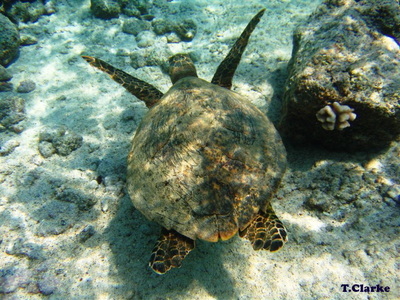 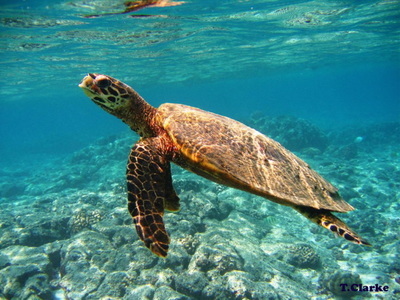 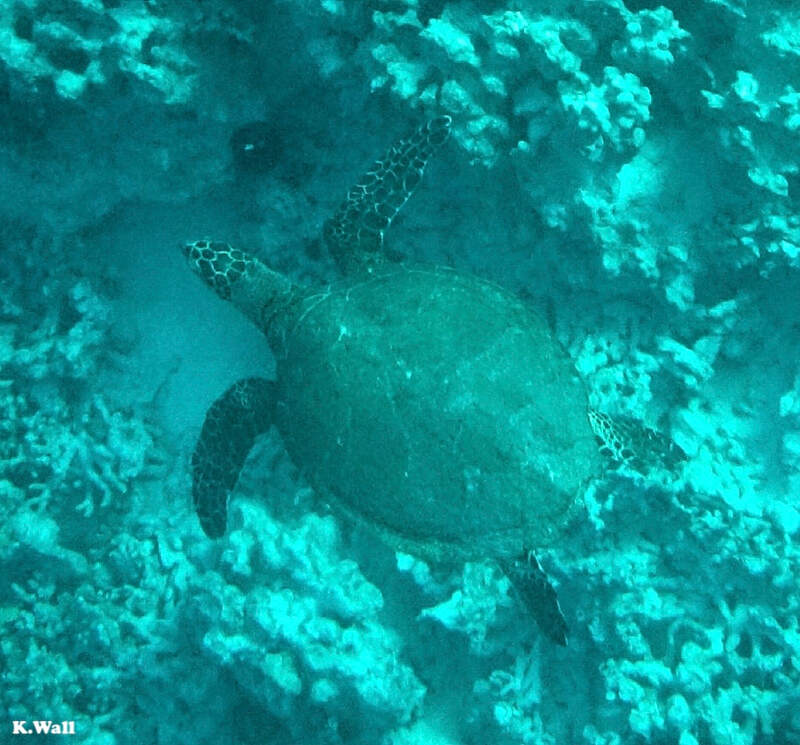 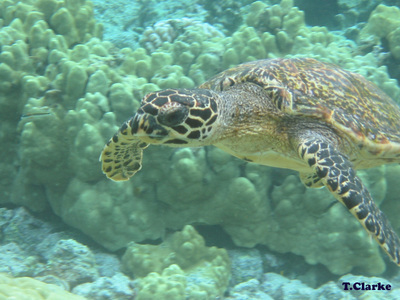 "Blue" is a juvenile hawksbill that photographed by B.Sullivan in 2009. 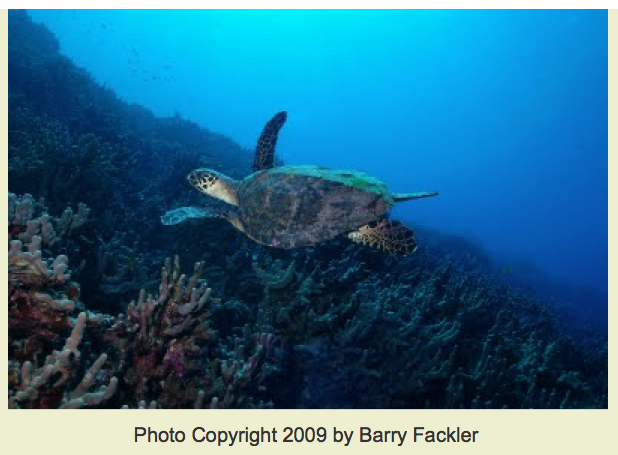 "Betty" is a juvenile hawksbill that was photographed by Barry Flackler in 2009. 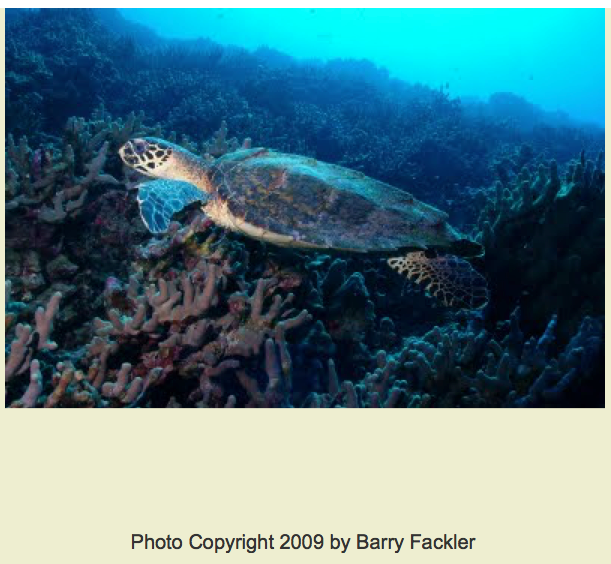 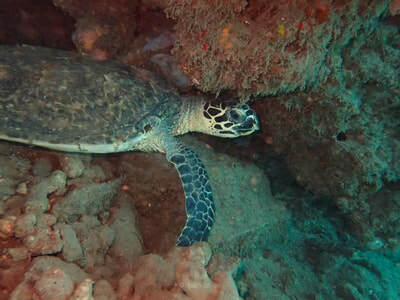 "Babette" is a juvenile hawksbill that has only been reported once, by Barry Barbett in 2010.
" 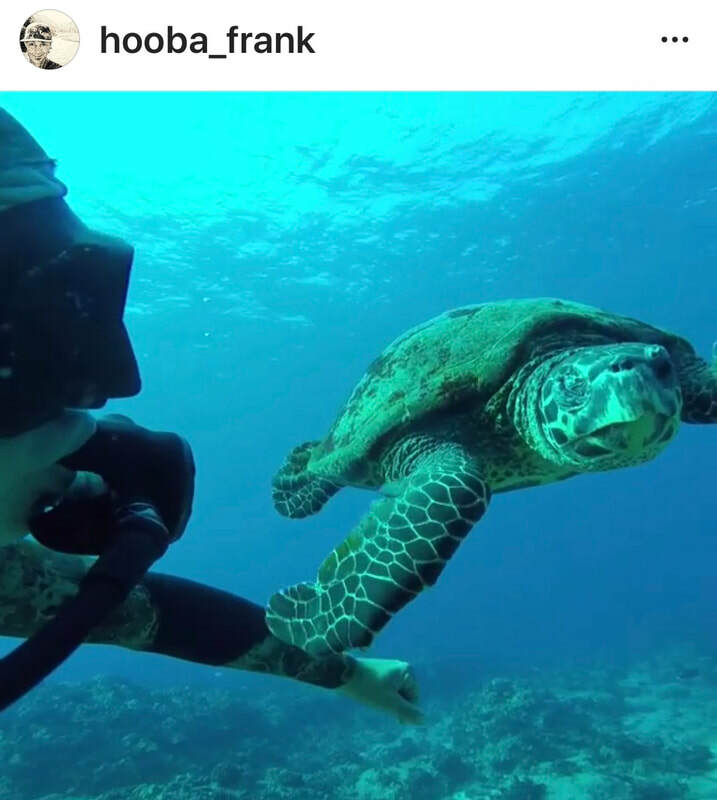 'Ilio" ("dog" in Hawaiian) is a juvenile hawksbill that has been photographed by Steve Dunleavy (2013), Jeff Milisen, (2015), Nico Testa (@neeks.t) (2015), and Frankie Young (@hooba_frank) (2017). 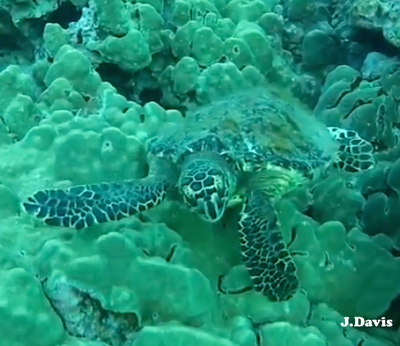 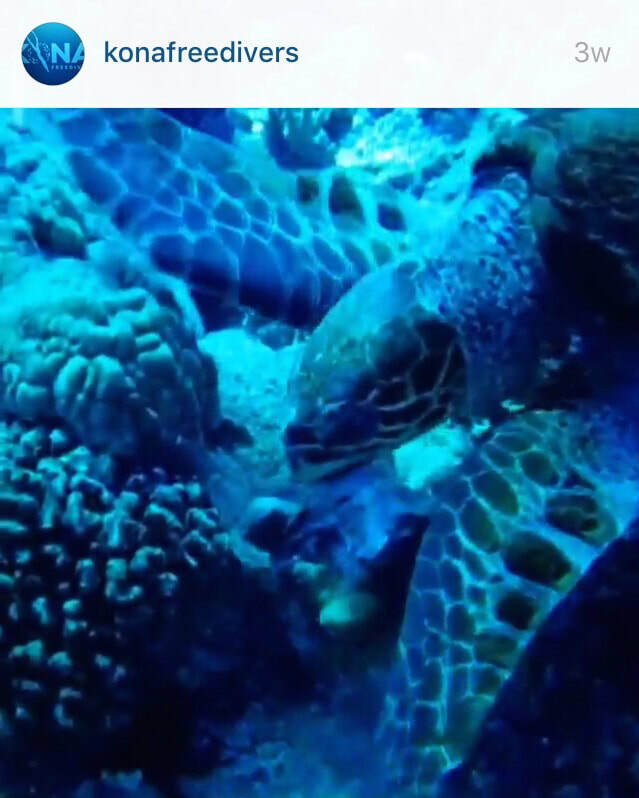 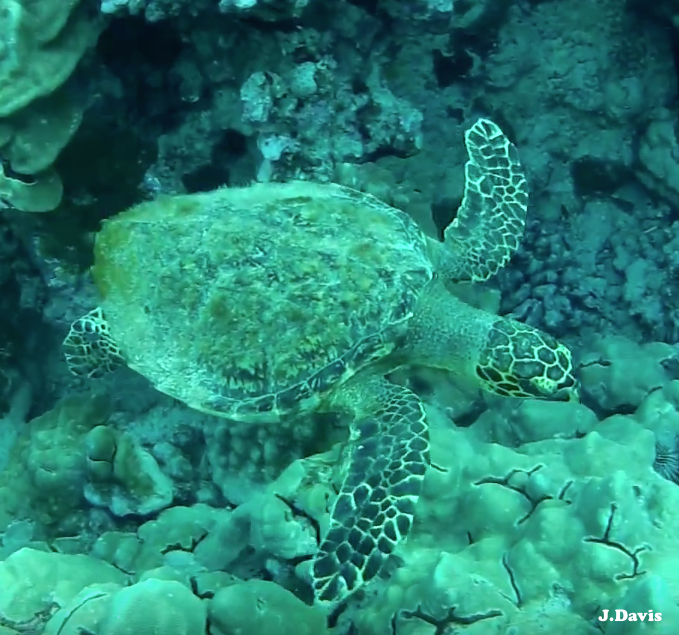 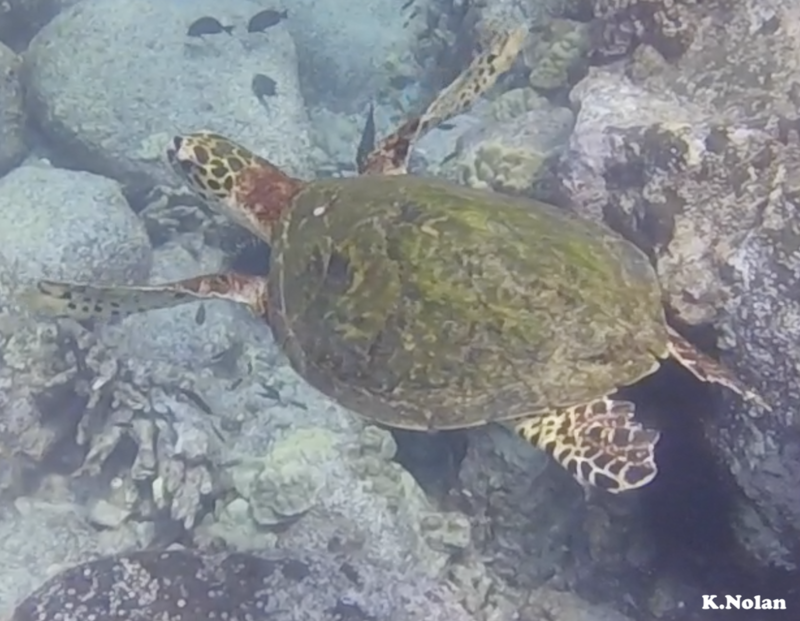 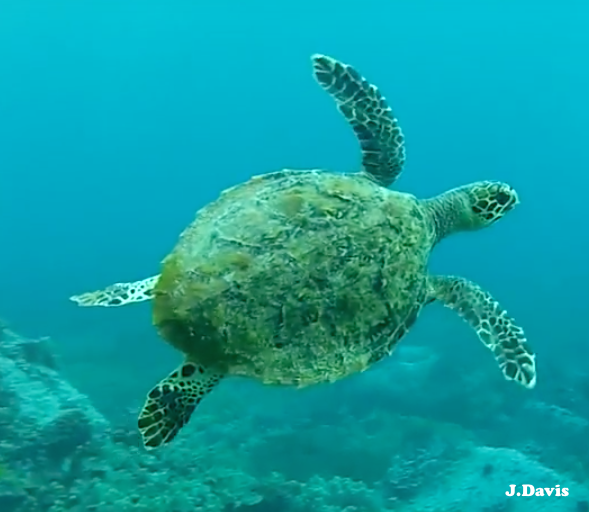 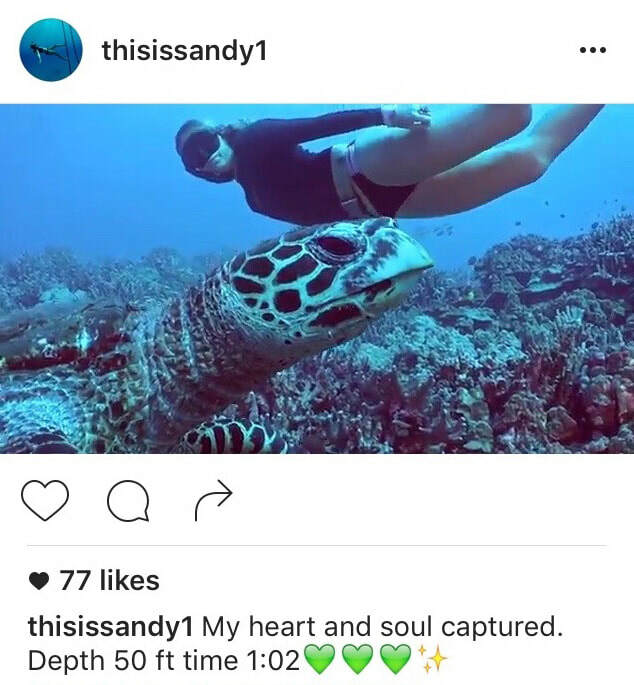 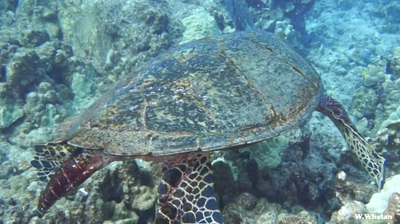 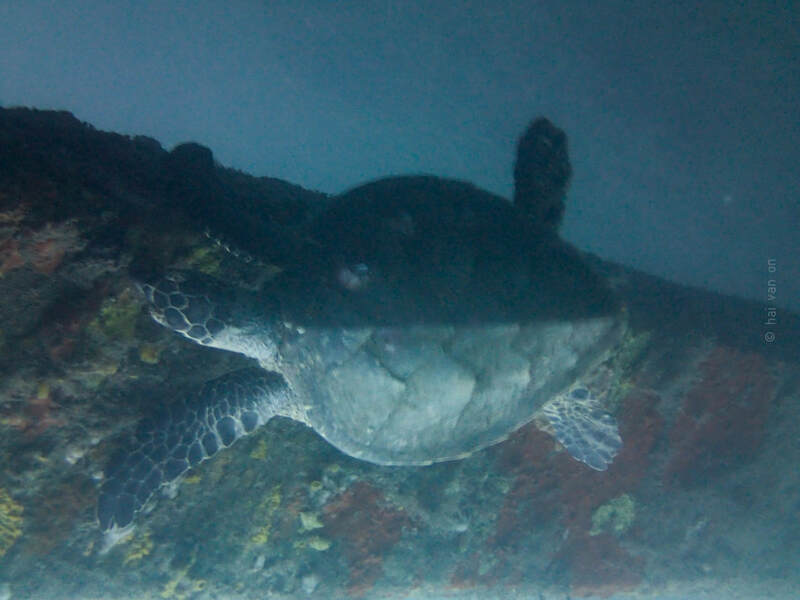 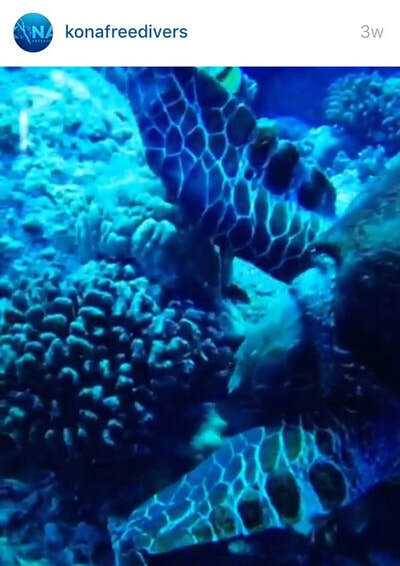 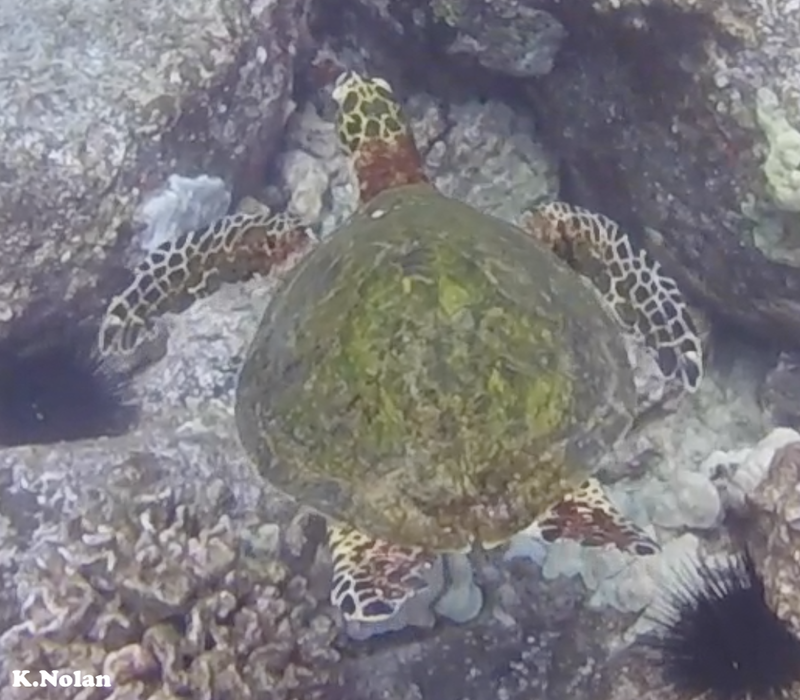 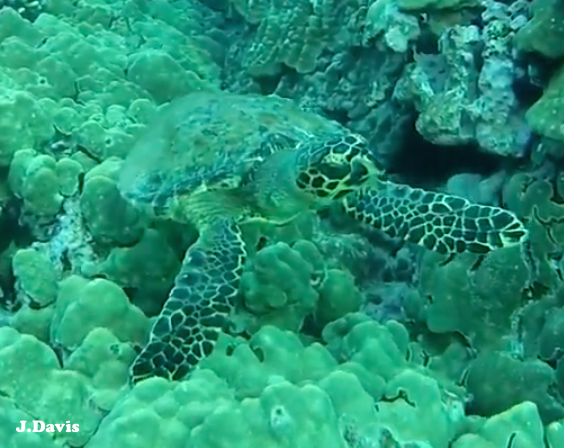 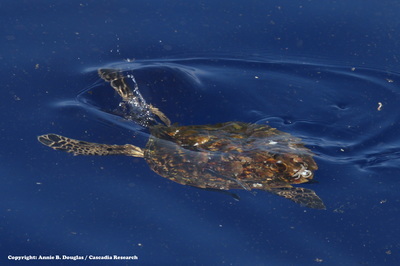 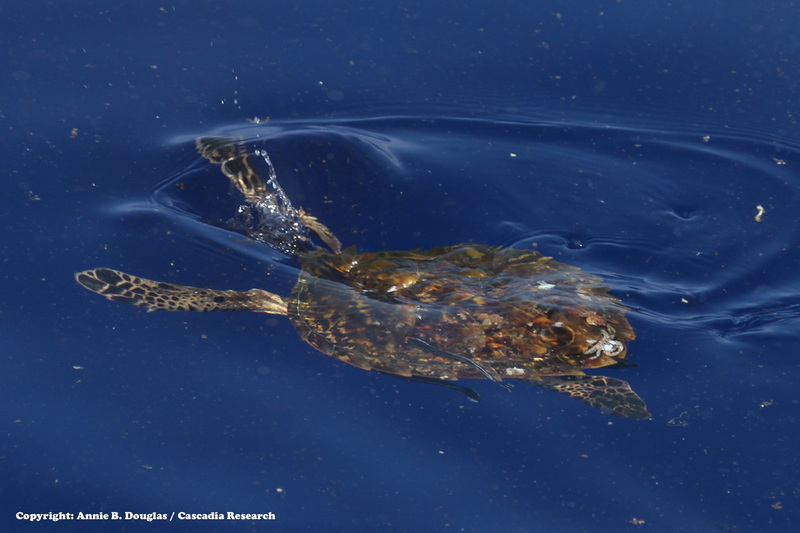 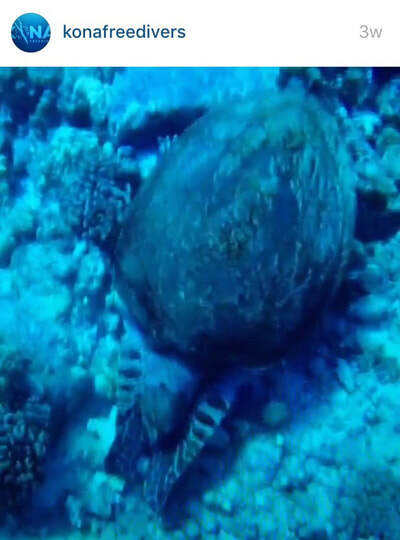 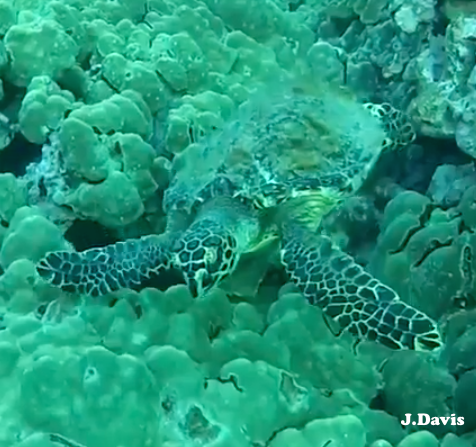 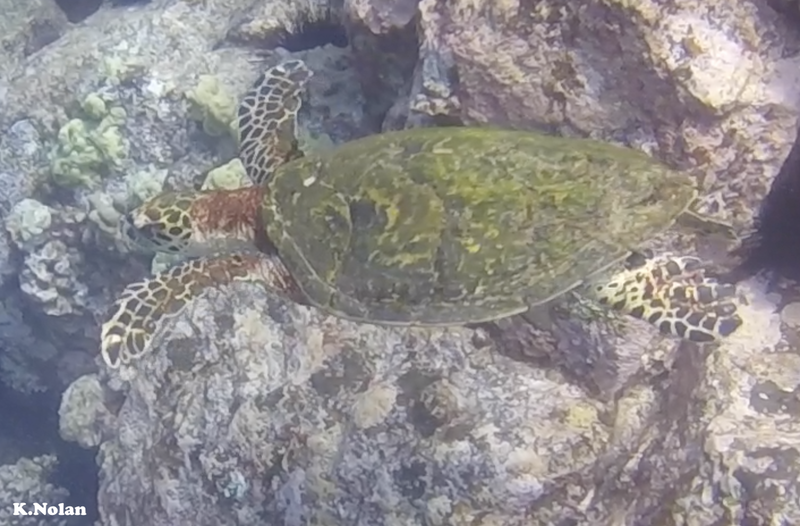 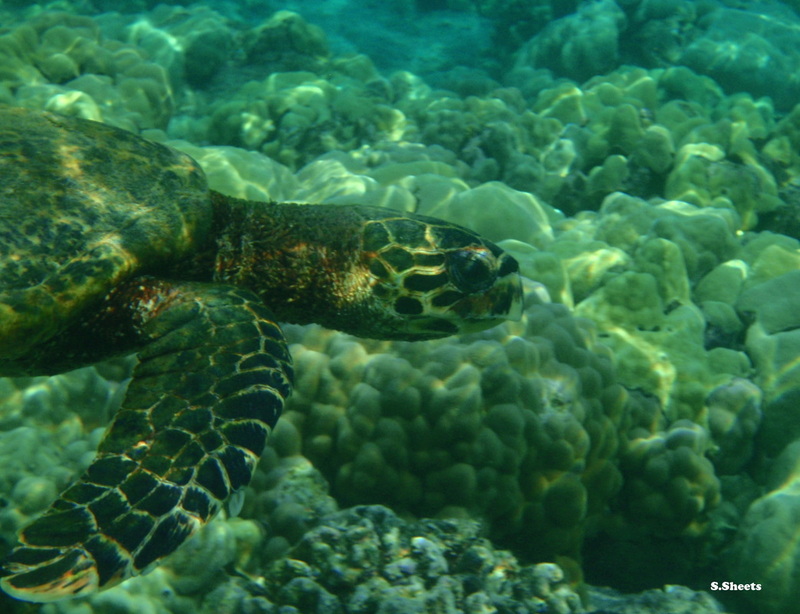 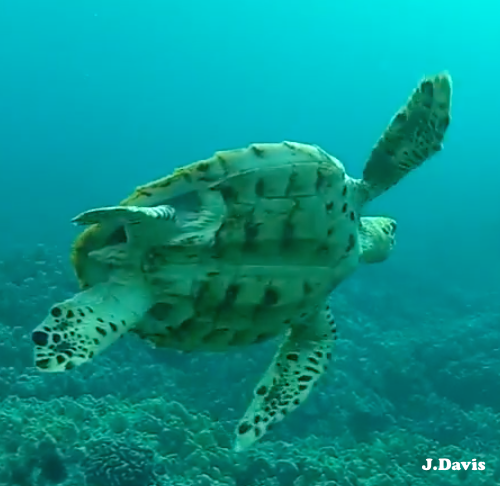 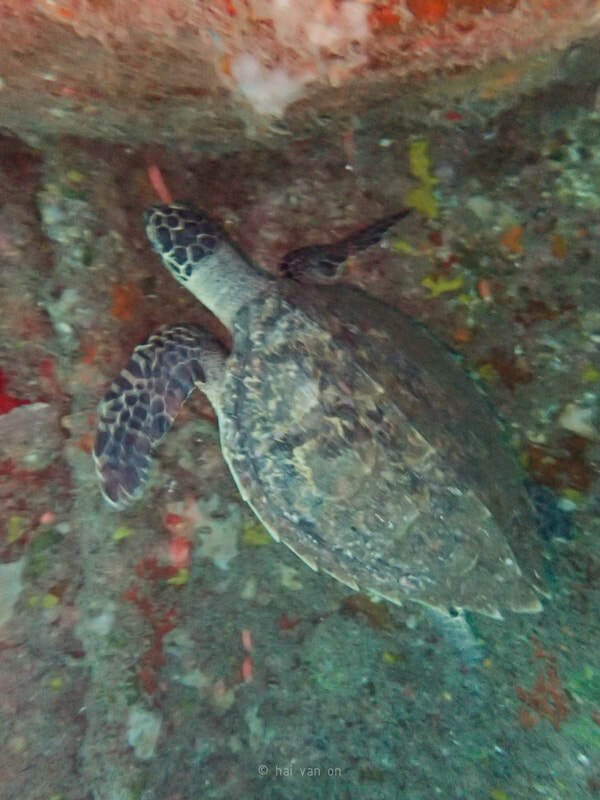 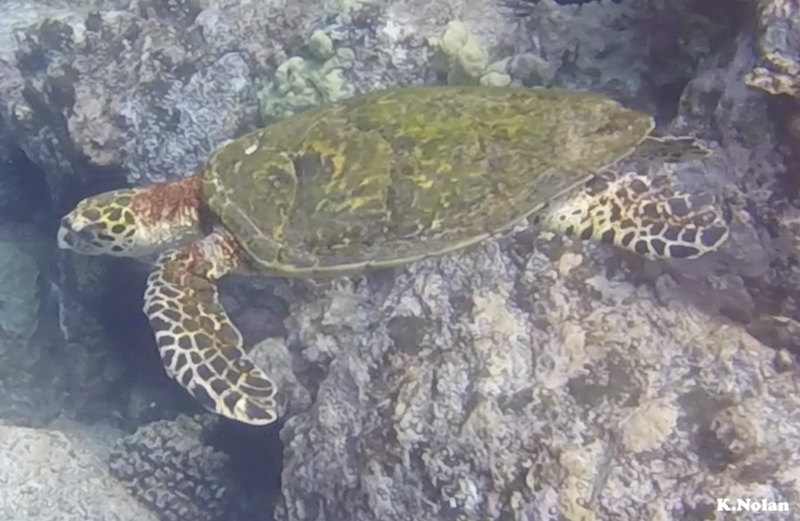 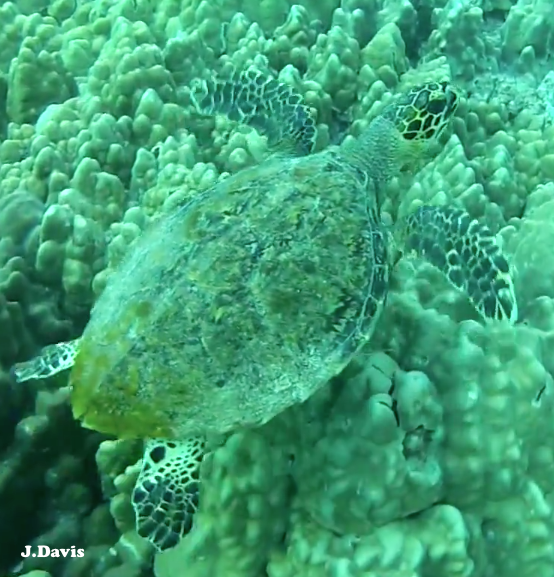 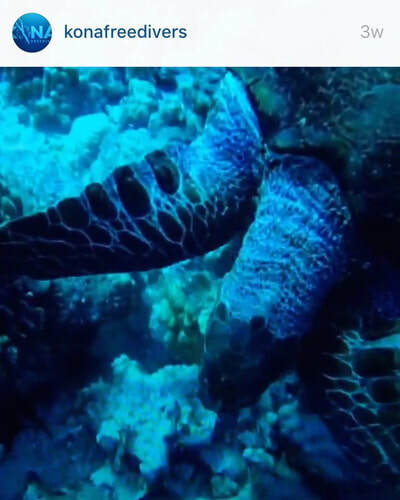 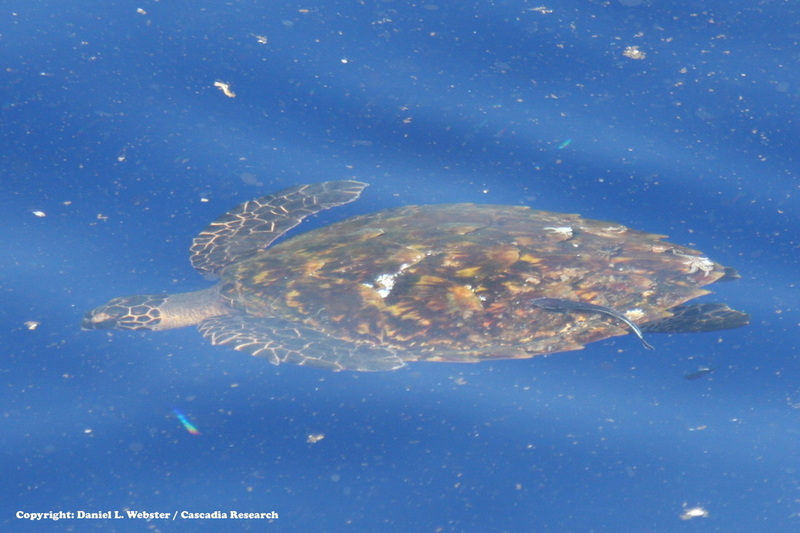 "Sinker" is a juvenile hawksbill that was filmed by Jonathan Davis in 2014. 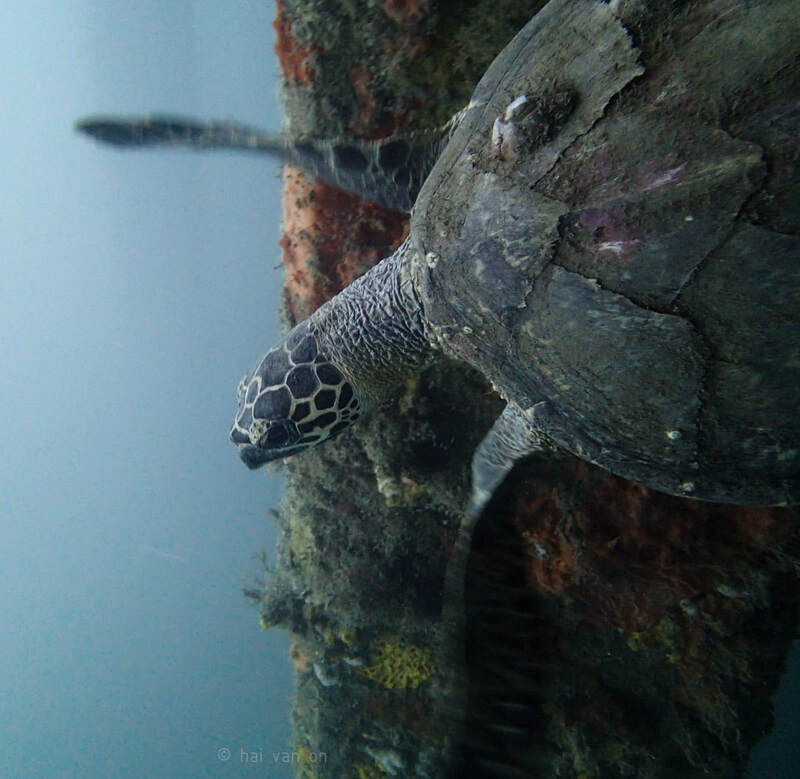 "Kibler" is a juvenile hawksbill that has been photographed by Jennifer Travis in 2014. 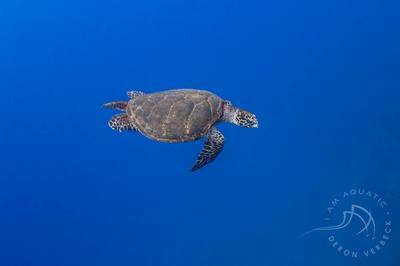 "Mili" is a juvenile hawksbill that has been photographed by Jeff Milisen in 2016. 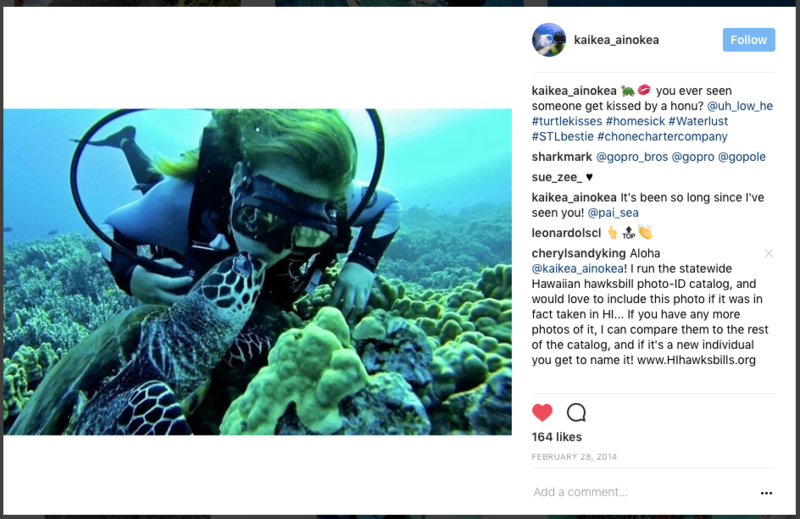 "Kissy" is a juvenile that was sighted by @KaikeaAinokea in 2014. 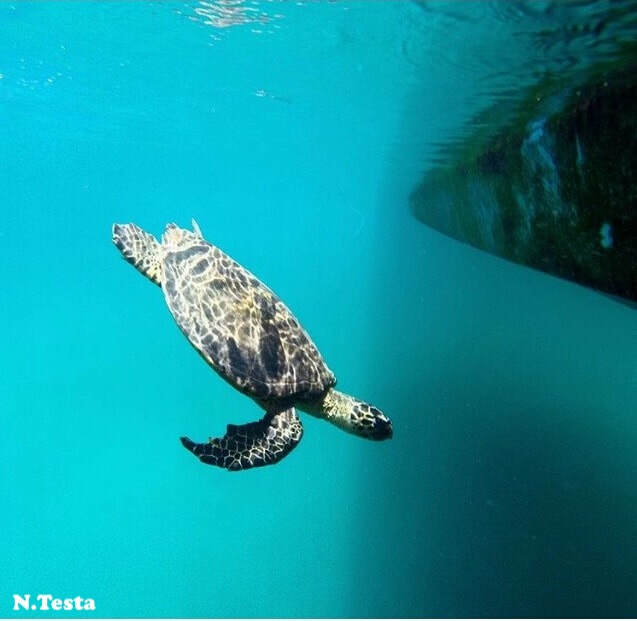 "NT" is a juvenile that was sighted by Nico Testa (@neeks.t) in 2016. 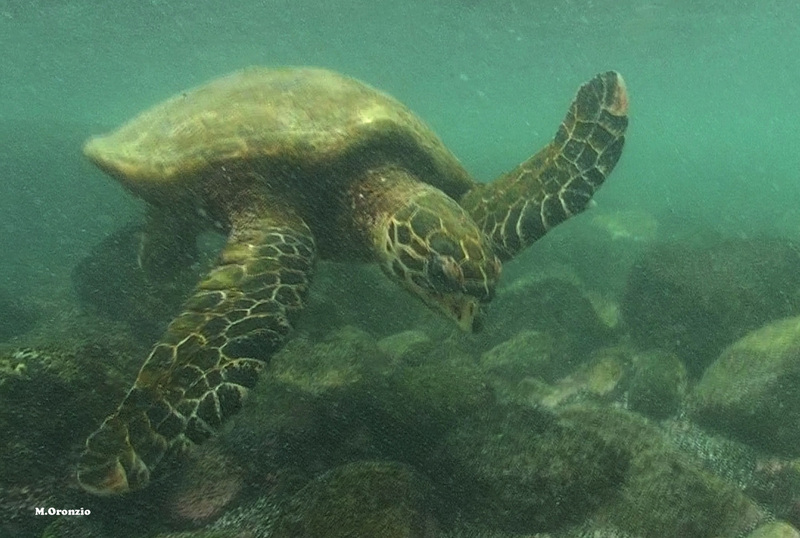 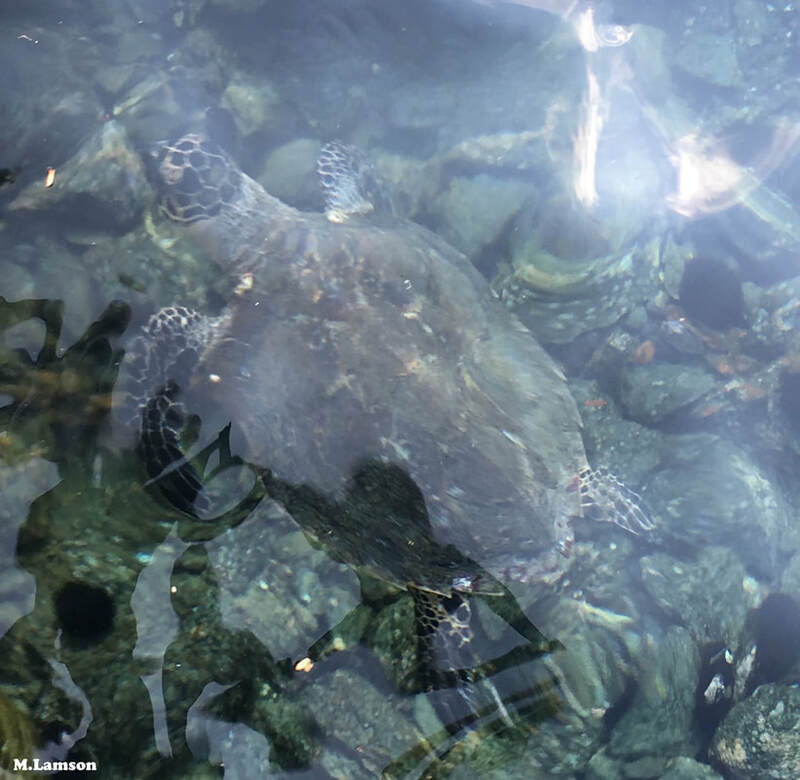 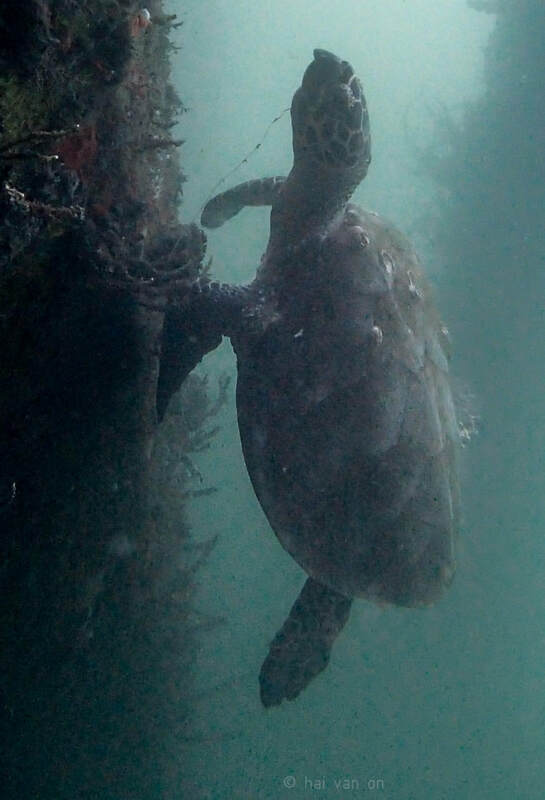 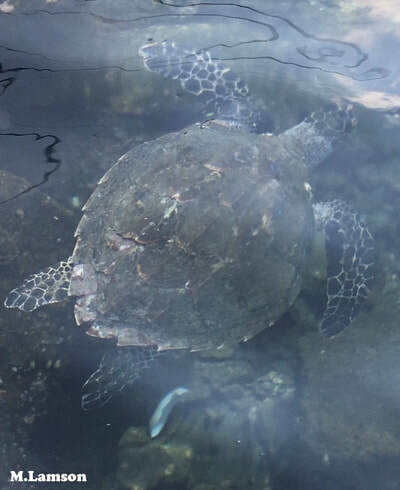 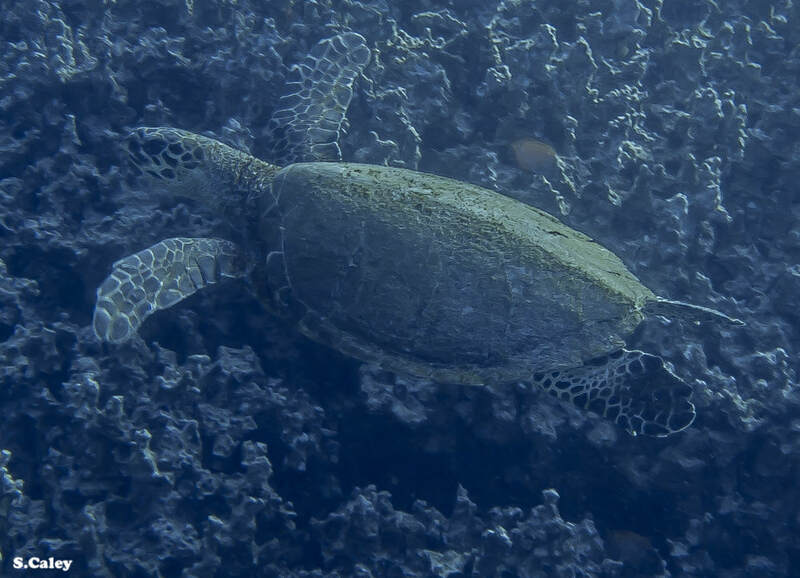 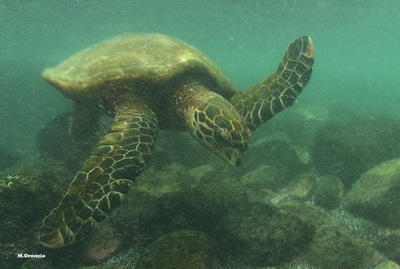 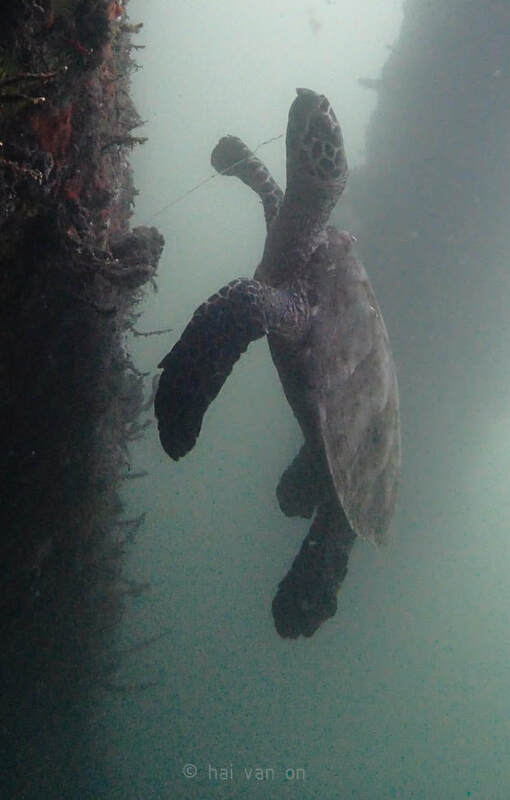 "DAR-LA" is a juvenile that was sighted by Megan Lamson and the Hawai'i Department of Land and Natural Resources Division of Aquatic Resources (DLNR-DAR) in 2018. "Pueomahina" is a juvenile that was sighted by Jill Quaintance, Kassandra Kirksey and Steve Turner in 2018. 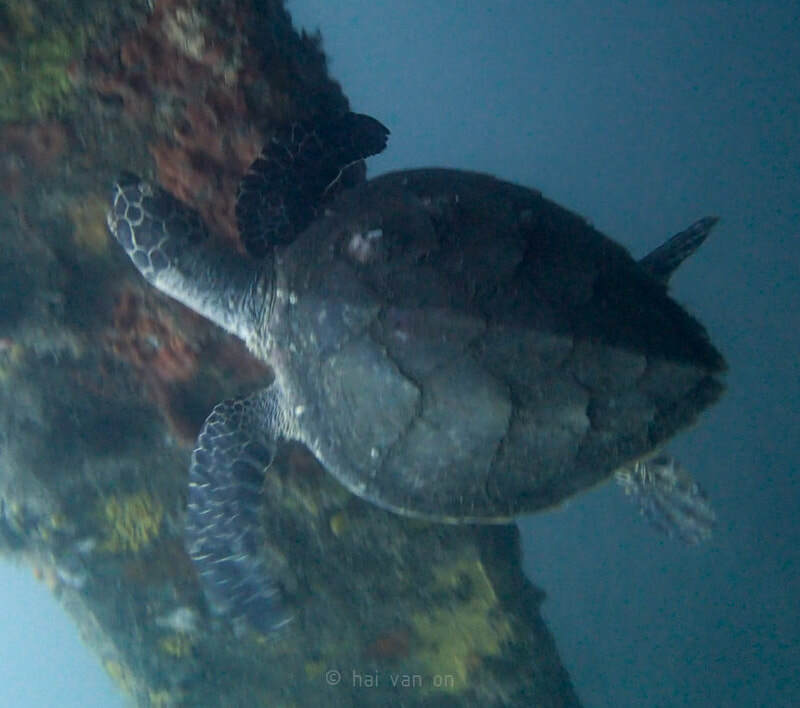 "Epo" is a juvenile that was photographed by Hai On in 2018. 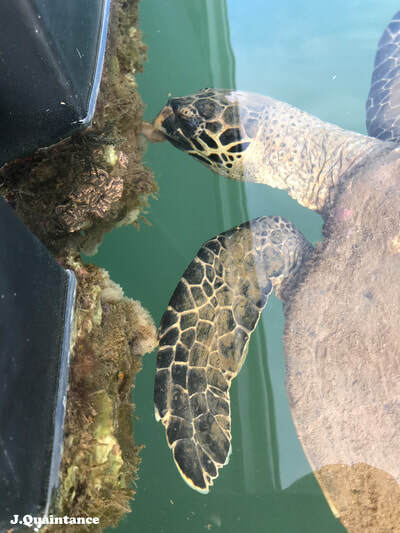 "Rachel" is a juvenile that was sighted twice by Hai On in 2018. 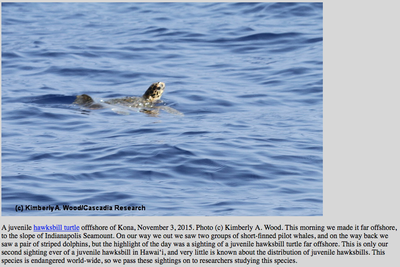 It hasn't been reported since he spotted it in August with trailing fishing line coming out of its mouth. 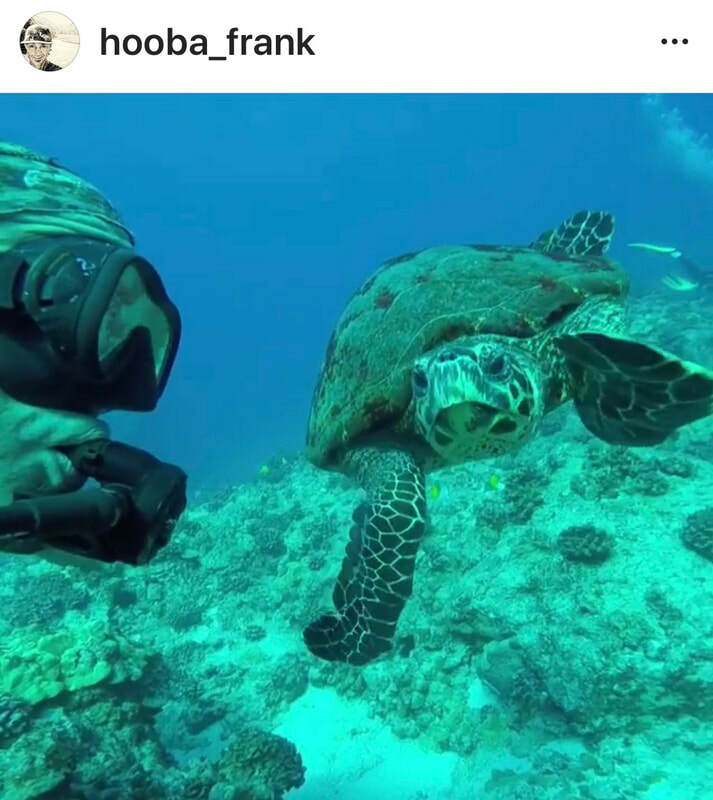 "Hook" is a juvenile that was sighted by Hai On in 2018, with a small hook in the right side of its face. 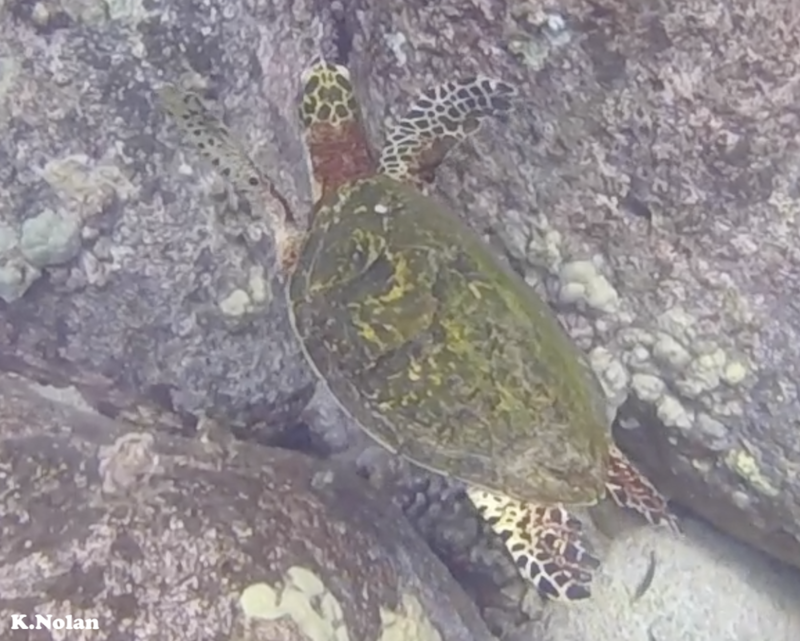 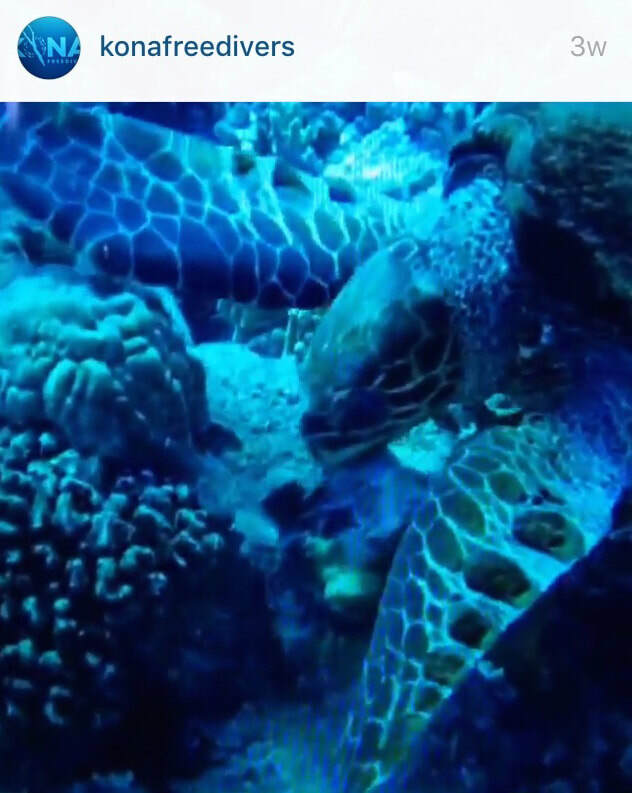 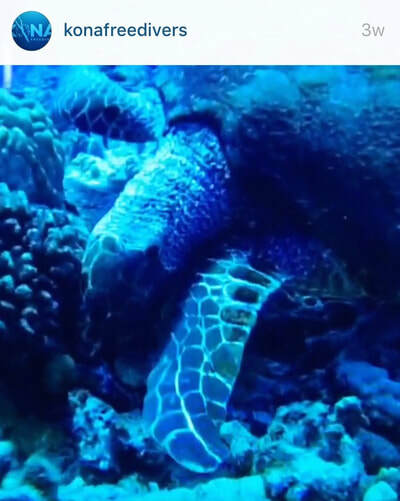 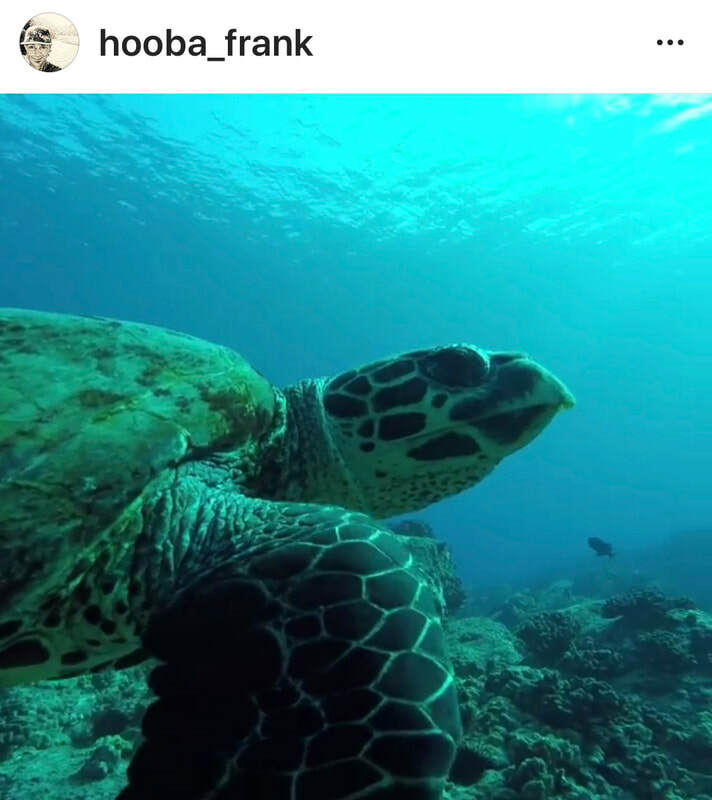 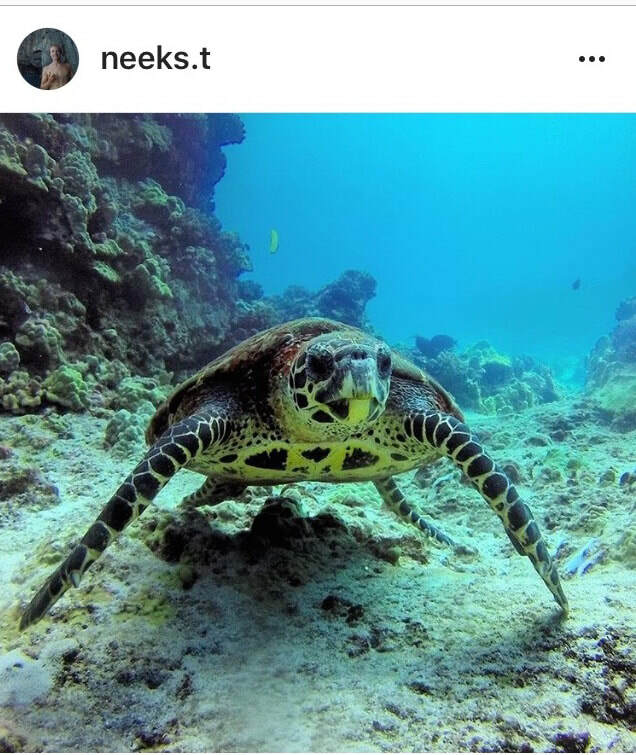 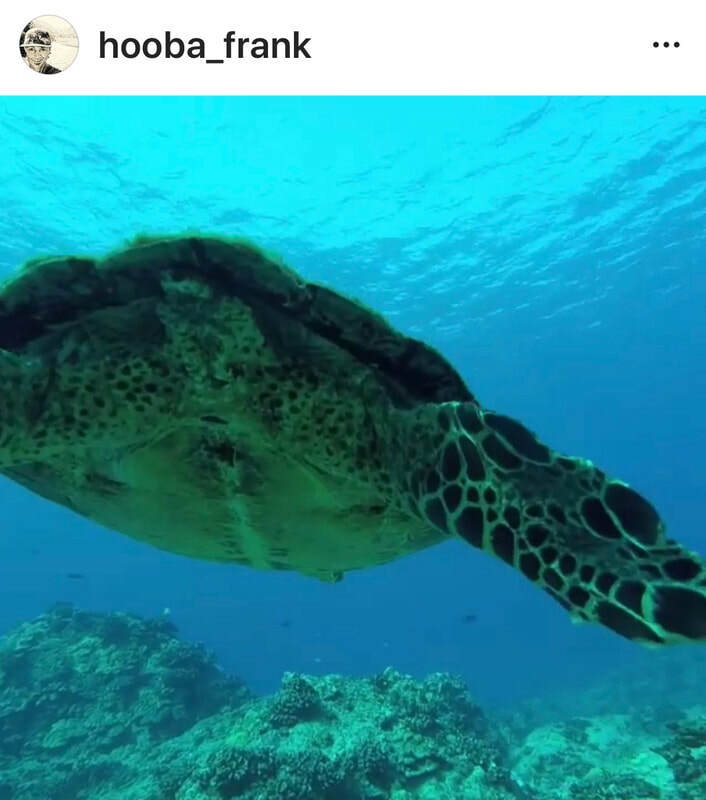 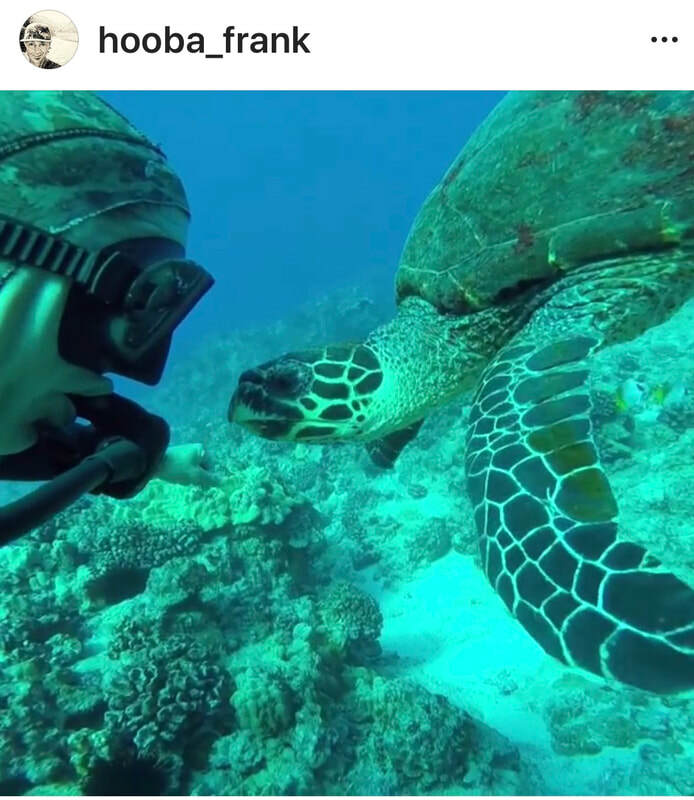 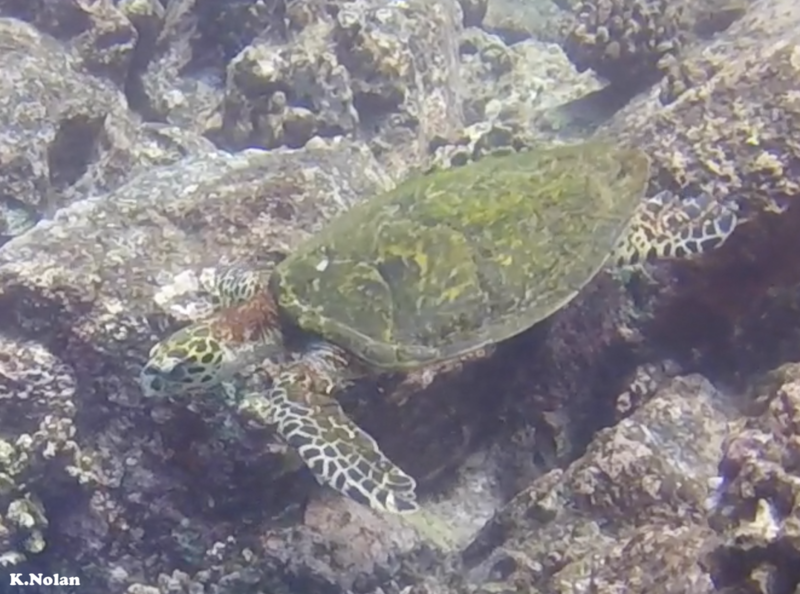 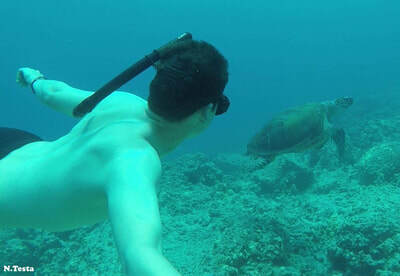 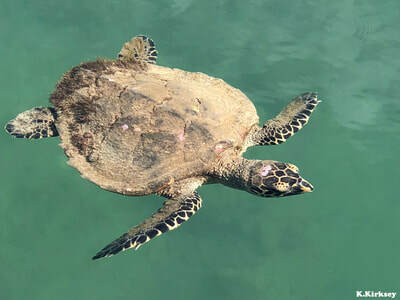 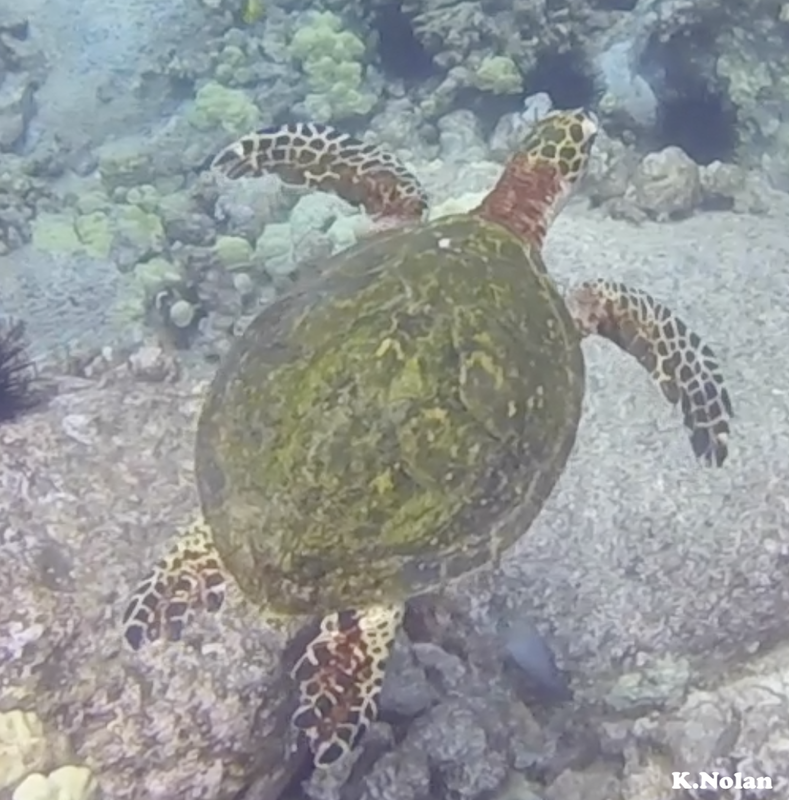 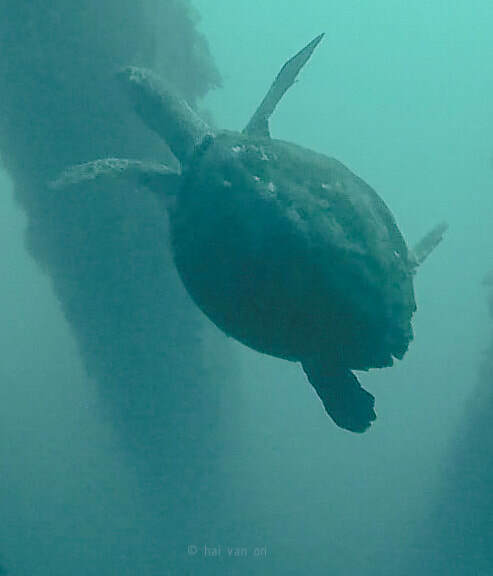 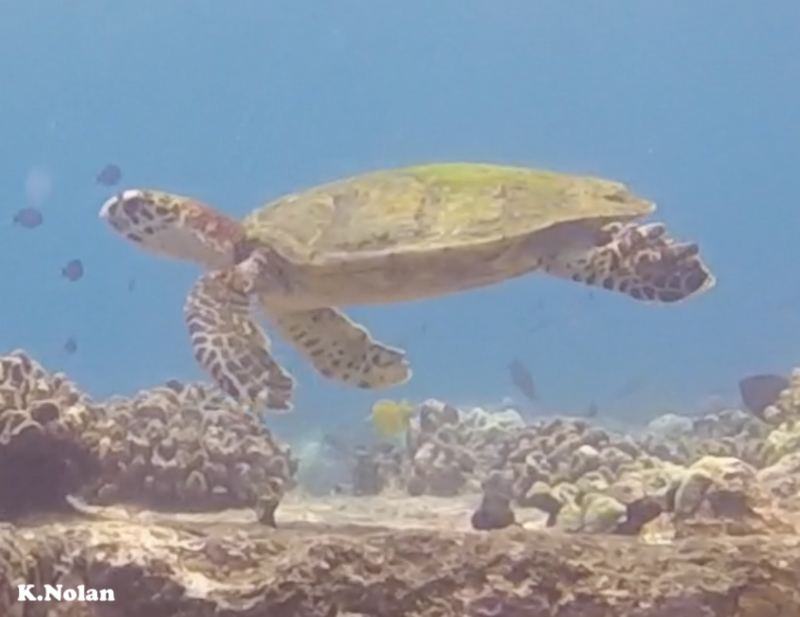 "Sarma" is a juvenile hawksbill that was filmed by Kyle Nolan and Olivia Lau in 2018. "Kysen" is a juvenile hawksbill that was photographed by Karolle Wall and Shawn Caley in 2019. 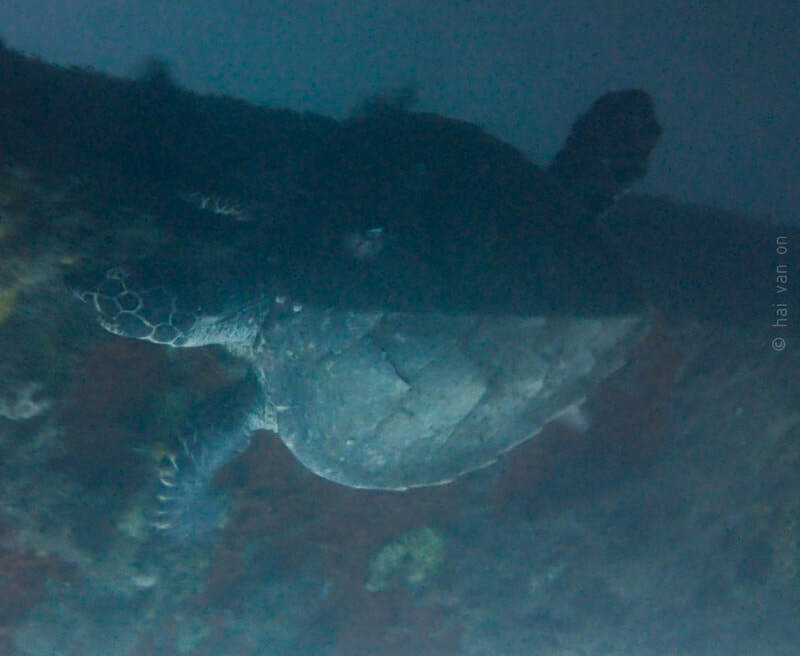 "Warped" appears to be a subadult (the carapace injury is not recent, but makes it difficult to discern size) that has been photographed by Doug Perrine in 2006 and Jeff Milisen in 2011. 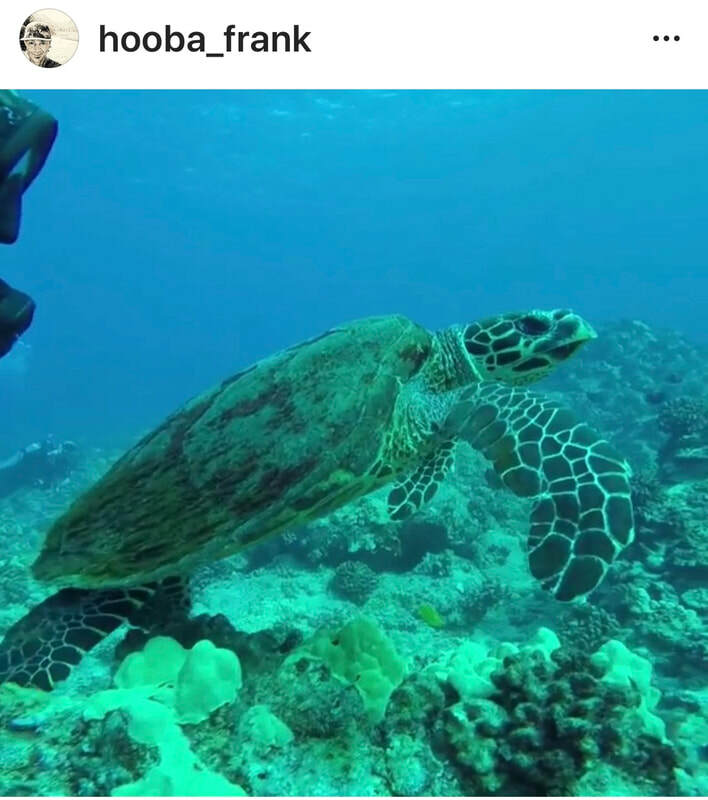 "Wyatt" was posted on Instagram in 2018 by Randall Wyatt and Kona Honu Divers. 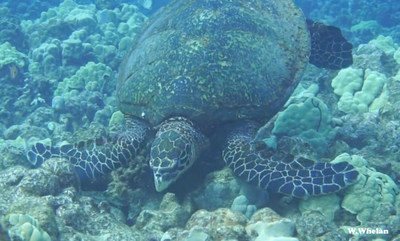 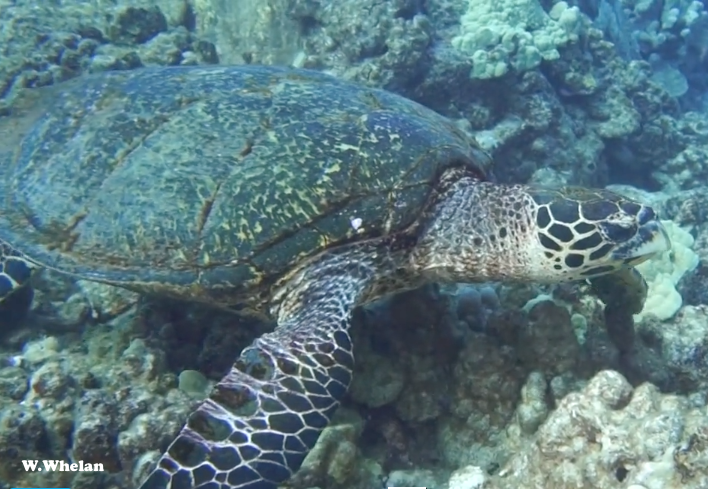 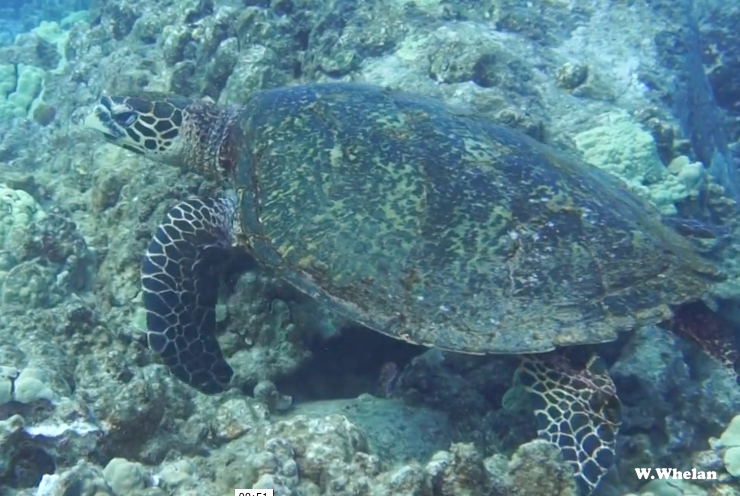 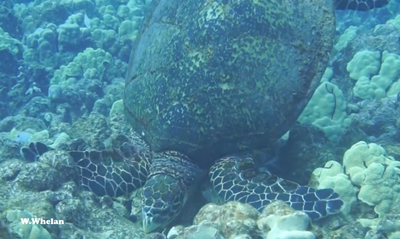 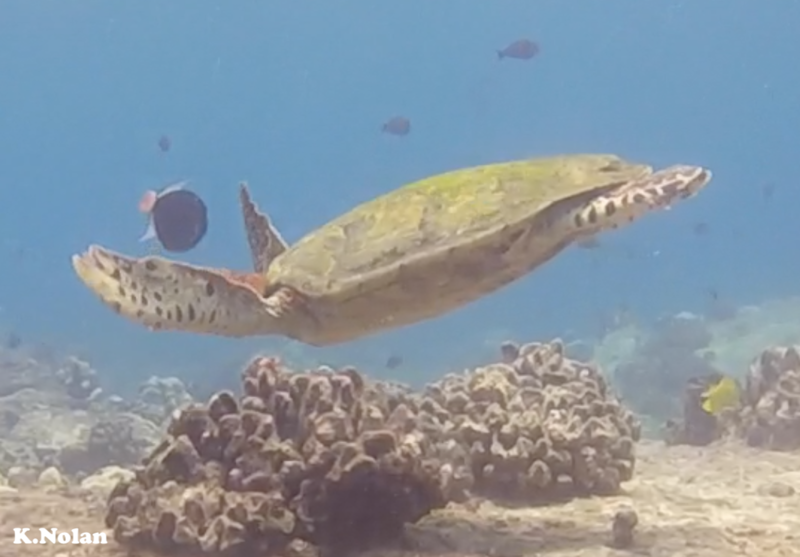 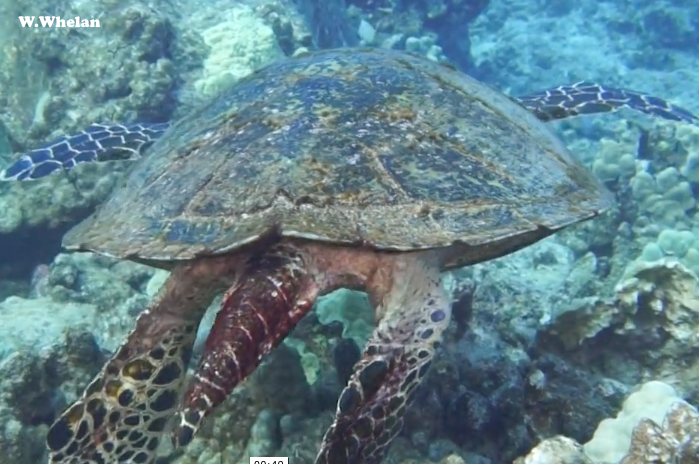 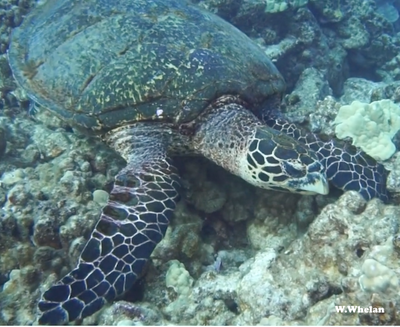 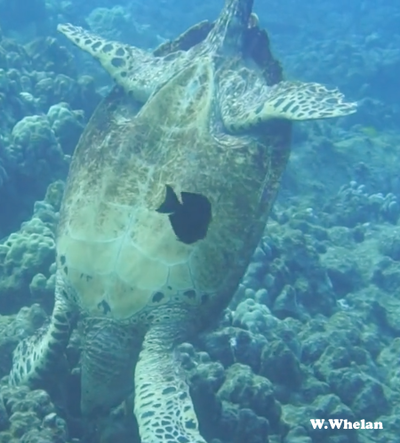 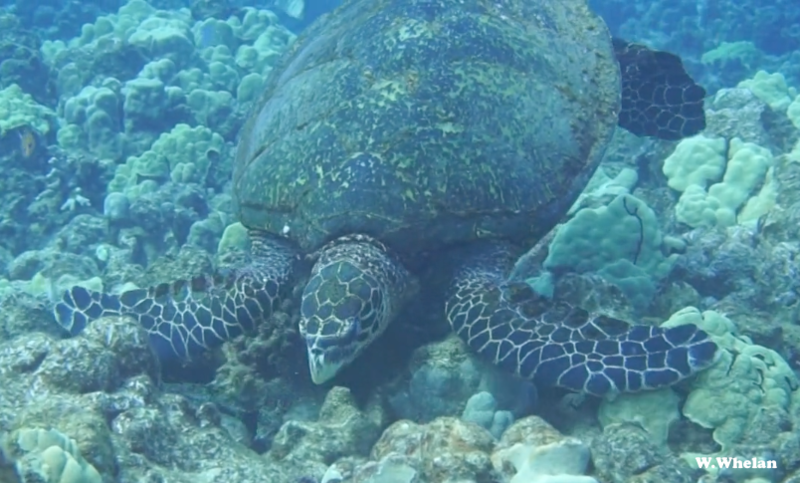 "Free" appears to be an adult female in this 2015 video by Kona Free Divers. "Big Momma" is an adult female that was photographed by Nico Testa in 2018. 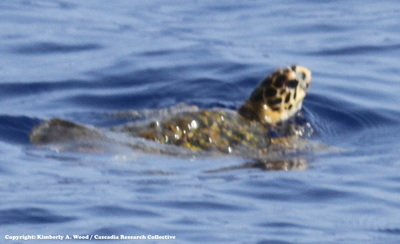 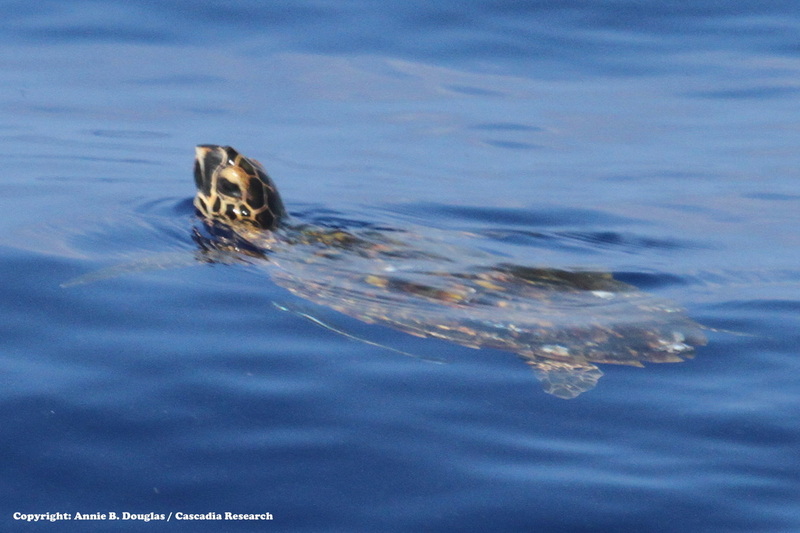 ​"Petunio" is an adult male hawksbill that was photographed by Mark Oronzio in 2013. "Stevie" is an adult male that was photographed by Steve Dunleavy in 2014. 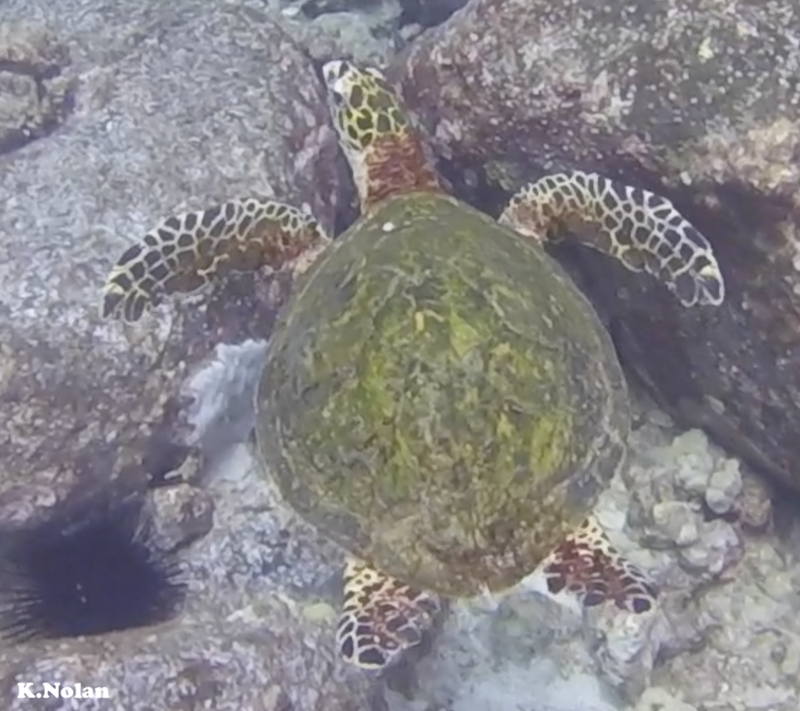 "MaleMan" is an adult male hawksbill that was photographed by Will Whelan and Drenched Productions in 2016. "Pat" is an adult male hawksbill that was photographed by Deron Verbeck in 2017. 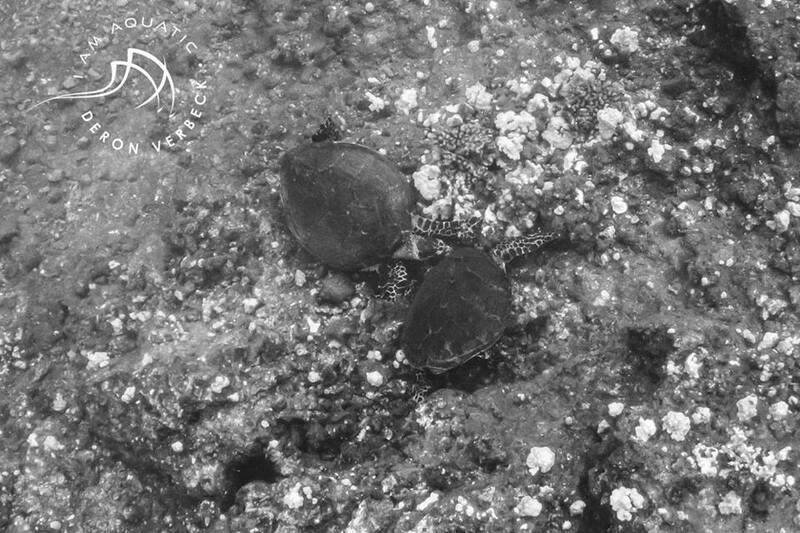 It was with a larger male (on the left in the photo) that can't quite be identified due to the lack of visible scales. 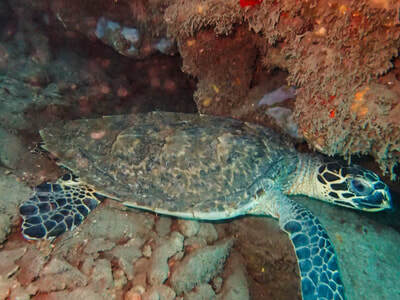 "Mr. Boyd" is an adult male hawksbill that was photographed by Deron Verbeck and Patty Peters in 2018. These photos may be difficult to look at... 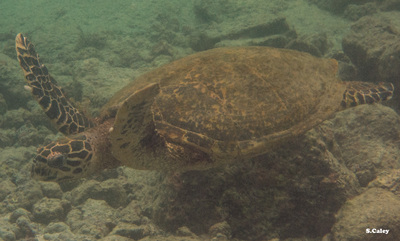 This juvenile was dead when it was found by DLNR-DAR Kona in 2016. 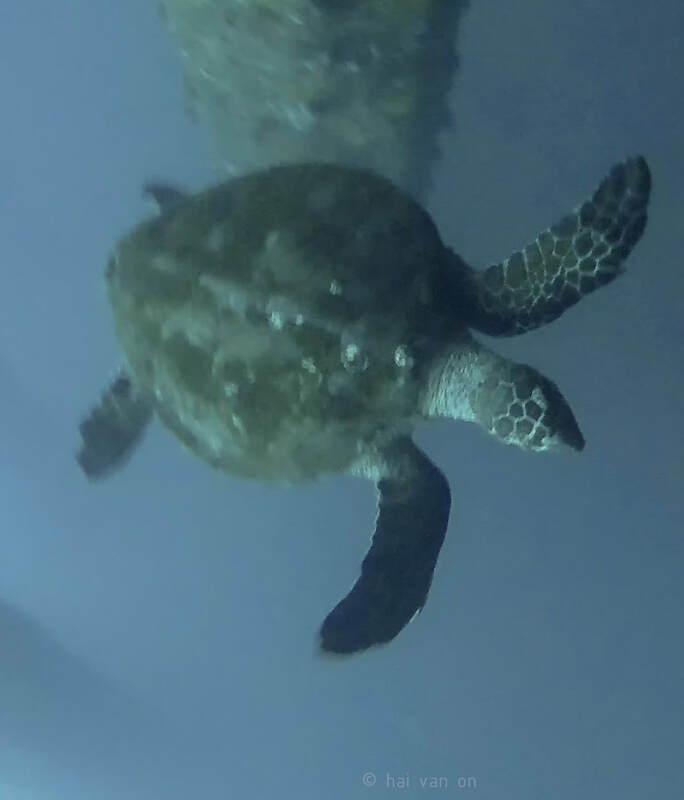 NOAA necropsy results confirmed it's a female. 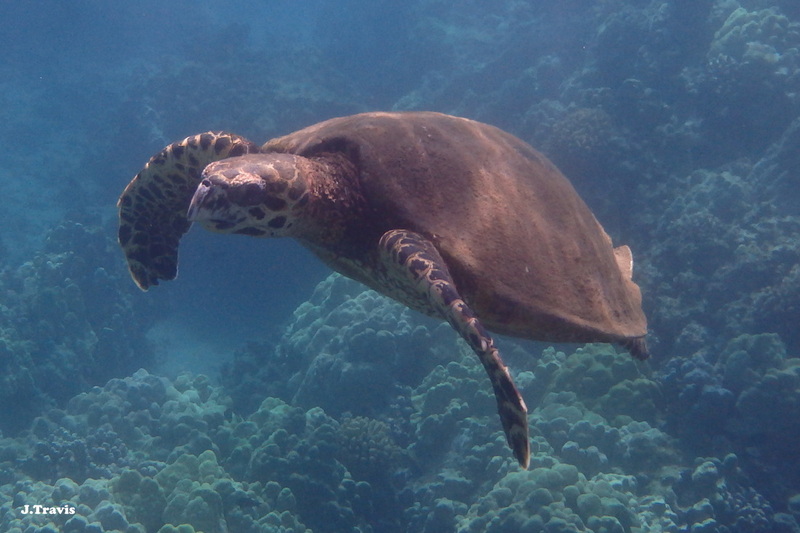 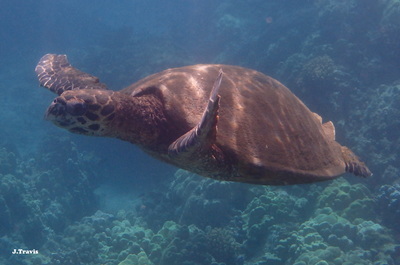 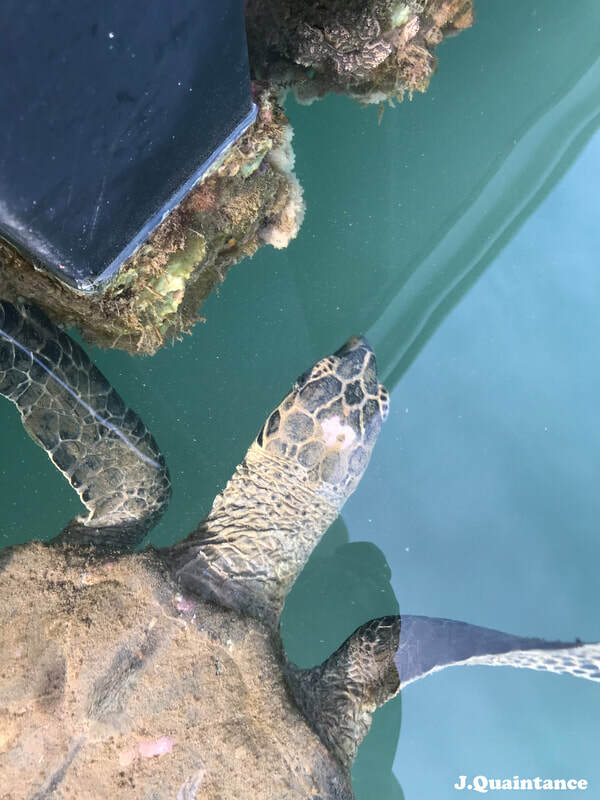 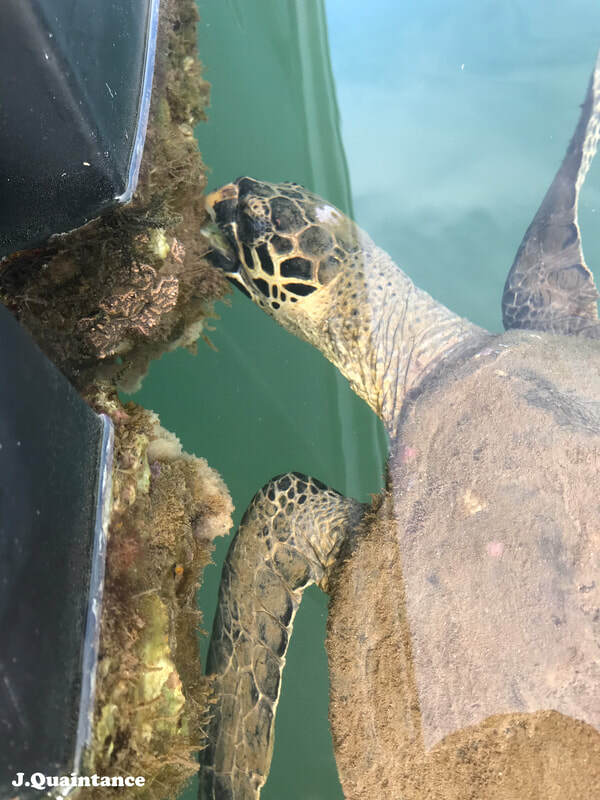 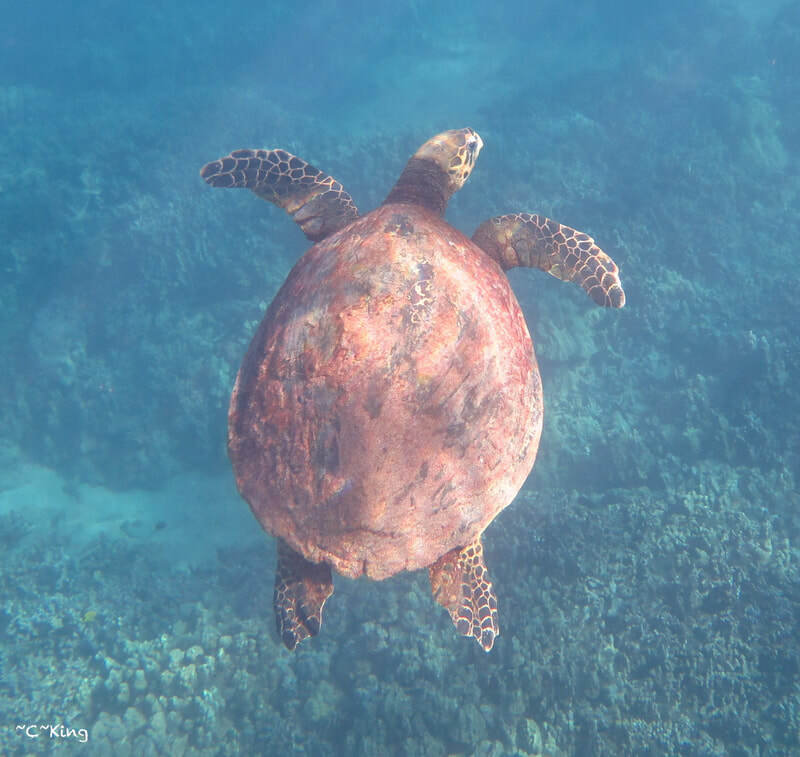 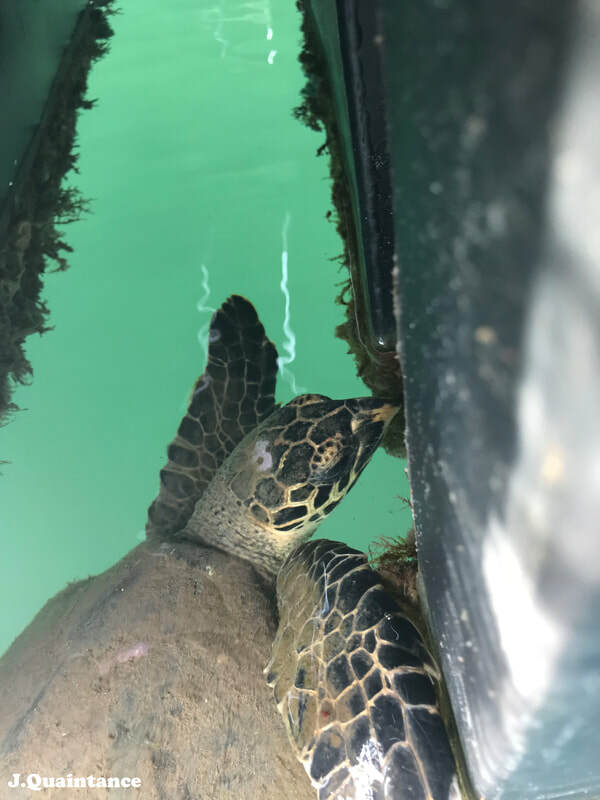 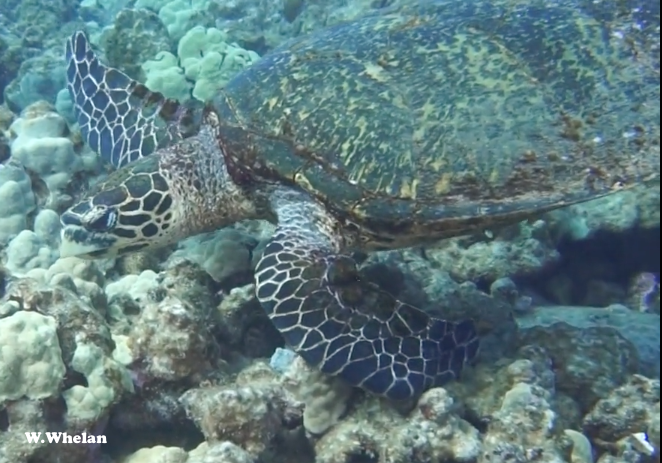 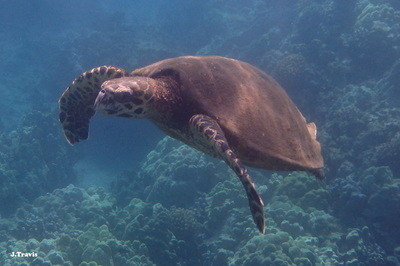 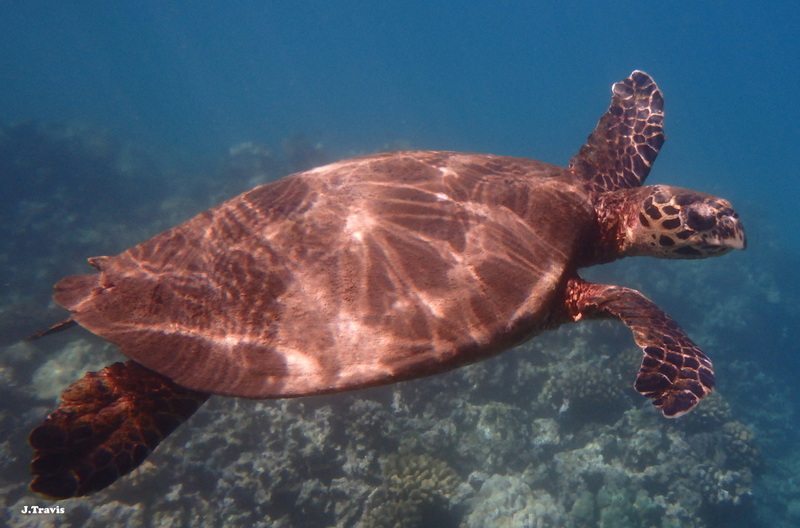 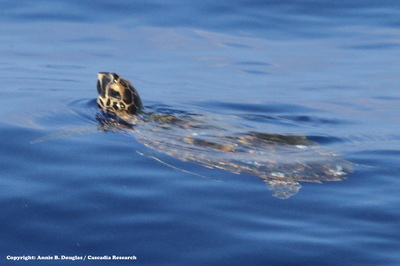 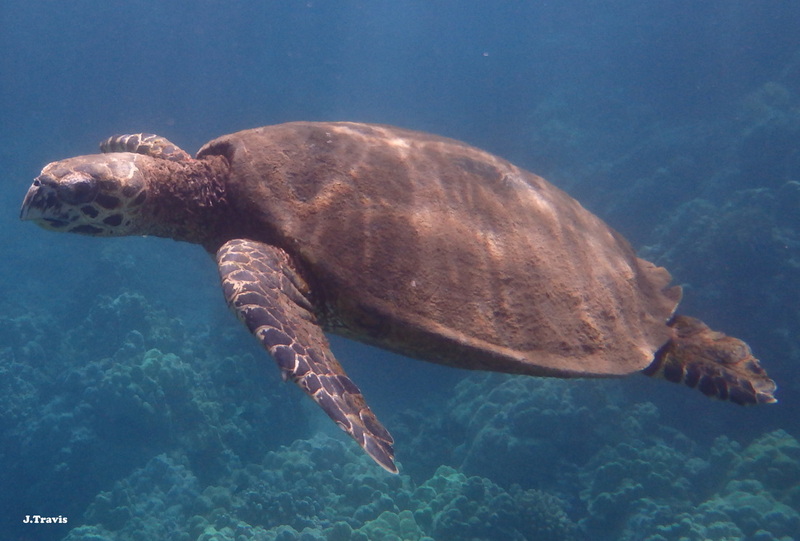 "Kaunaloa" is a juvenile hawksbill that was found floating (with labored, wheezy breaths) by DLNR-DAR Kona in 2018. 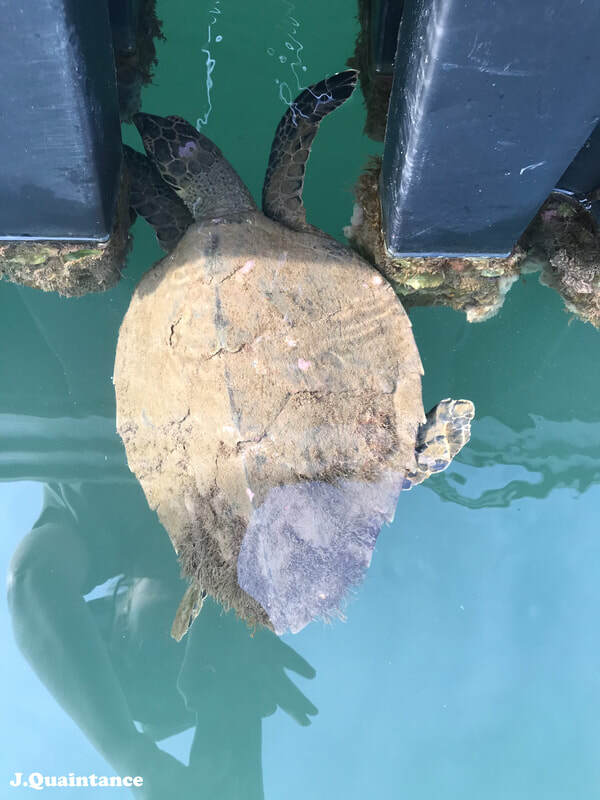 It was taken ashore to be sent to NOAA the next morning for treatment, but it died overnight. Initial NOAA necropsy results determined this was a male turtle, with a blood clot near the trachea.